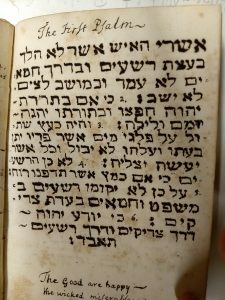 In considering the literature relating to the holiday of Purim (due to take place next Thursday), the text that comes to mind instantly is the book of Esther, read on the eve prior and day of the holiday. 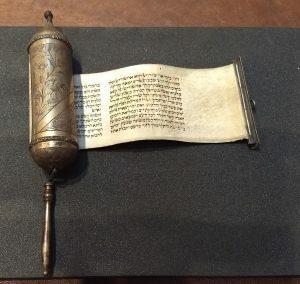 One with more familiarity to Jewish texts might cite the Talmudic tractate of “Megillah,” which is dedicated to the Rabbinic discussion of many aspects of the holiday of Purim and the story of the book of Esther (or Megilat Esther). 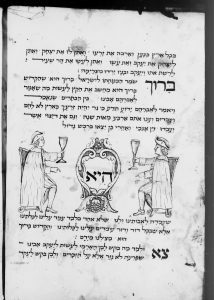 Another “tractate” that was common for Purim was “Masekhet Shikorim” (Tractate of the Drunken Ones). 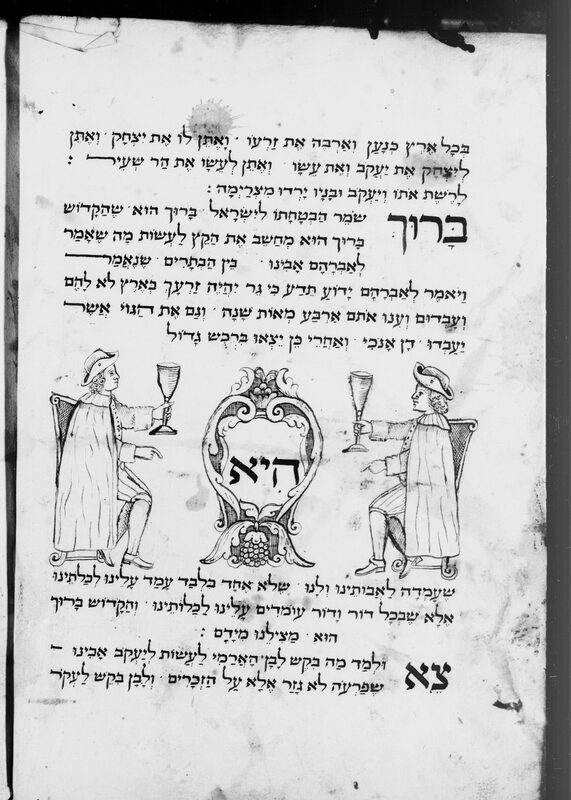 Because of the injunction that one should drink on Purim until unable to tell the difference between “blessed be Haman” (the villian) and “cursed be Mordekhai” (the hero), drunkenness is a common feature of the various Purim parodies. 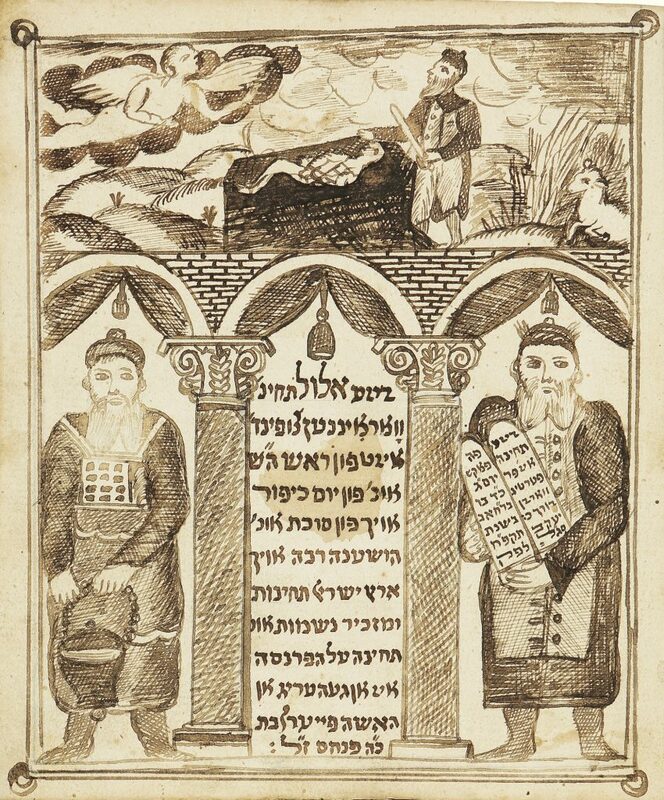 Another poem, in Judeo-Greek (left), is followed by a story of a miraculous salvation experienced by the Jews in Sicily, called Purim Sicily. 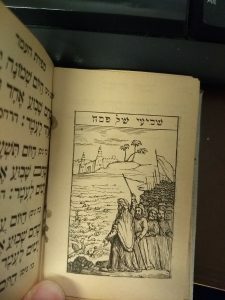 There is an entire genre of location specific “Purims,” which commemorate miraculous salvations to the Jews in particular cities they describe. 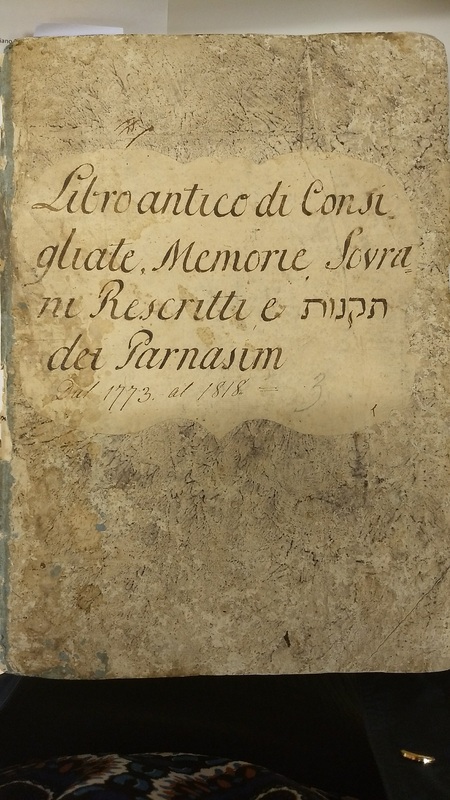 There are examples in our collections from Egypt, Saragossa, and Carpentras, in addition to this Sicilian one, and they will be discussed in a later post. 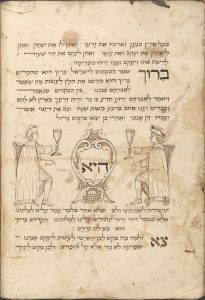 Another common form of parody was the Purim play, which used the story in the book of Esther to poke fun at contemporary events and people. 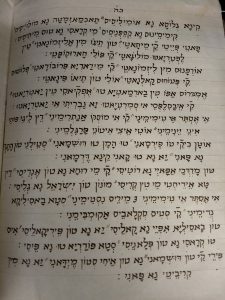 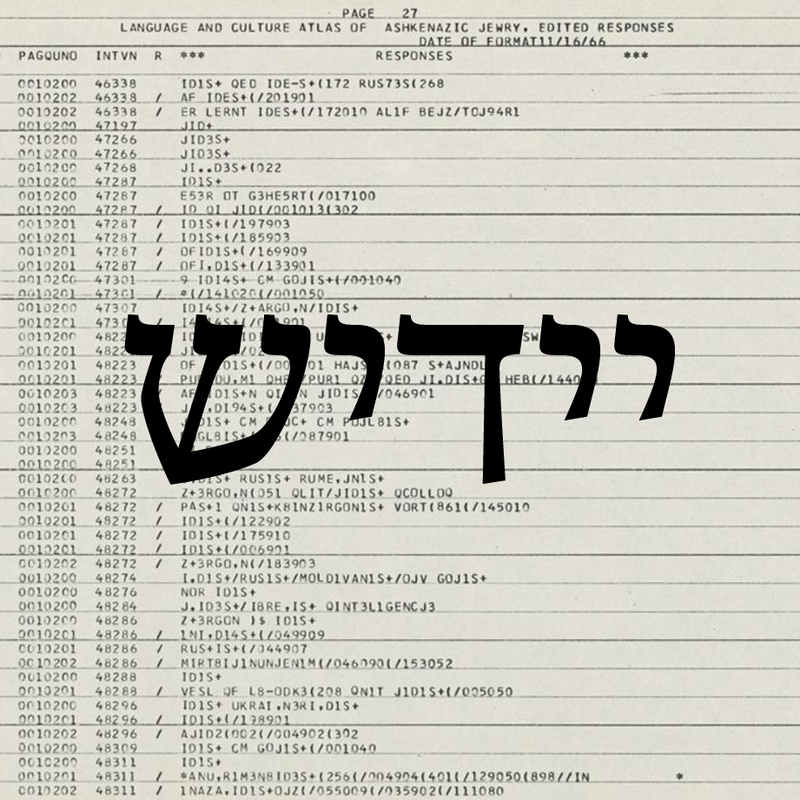 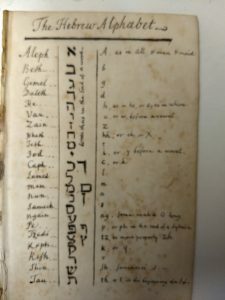 A “Shoye Shpil” written in German with Hebrew characters (below) describes the characters of the Purim story in a contemporary 19th century manner. 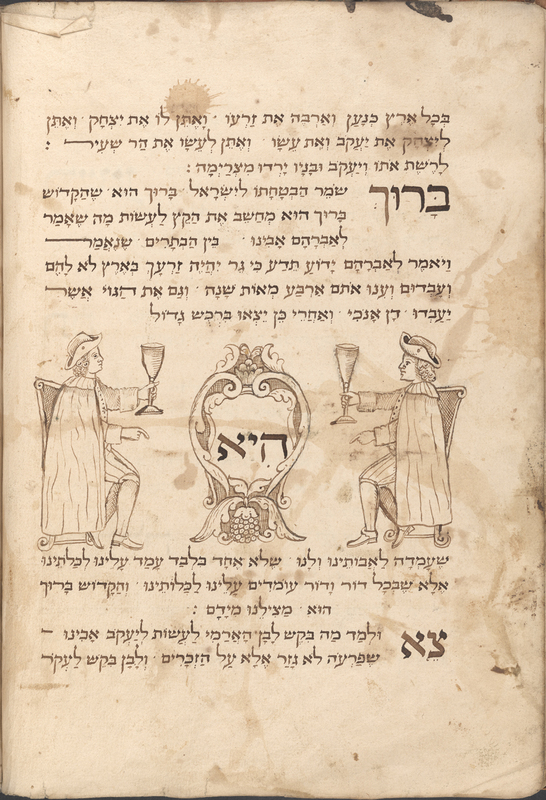 Purim parodies continue to be written in the present day. 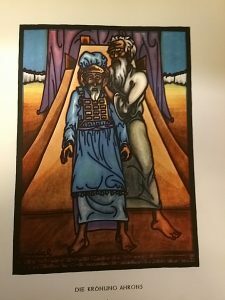 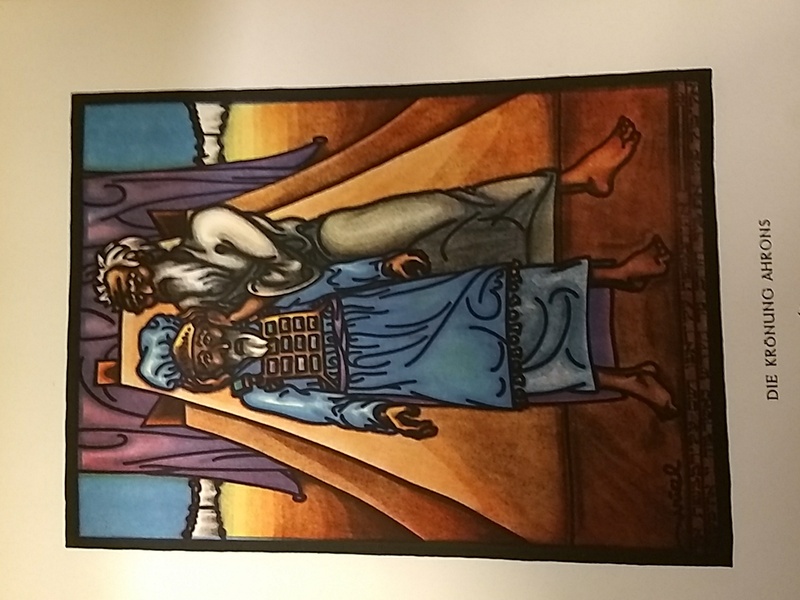 Here’s an example of one created in 2016, which adds yet another chapter to the so-called “Masekhet Purim,” (with tongue-in-cheek references to contemporary controversies) and new ones are likely being prepared this week for the upcoming holiday. This entry was posted in Uncategorized on March 14, 2019 by Michelle. 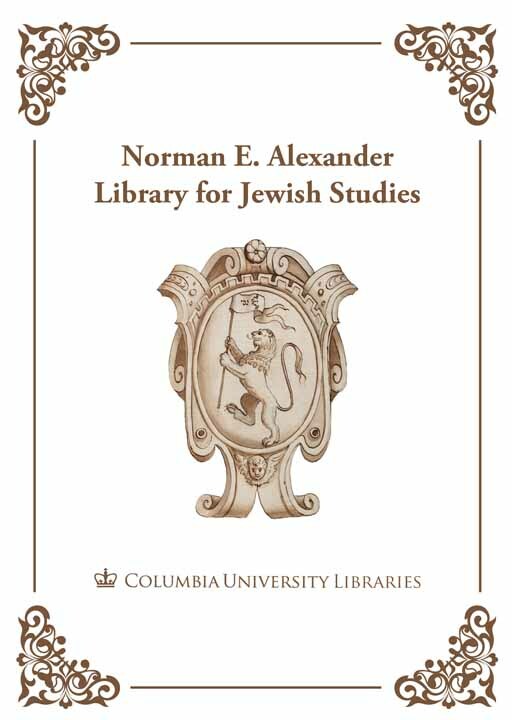 Columbia University Libraries exists to support teaching and learning, in the classroom and beyond. This usually occurs in the form of research consultations, classroom presentations on doing research, online research guides, and various other reference interactions. 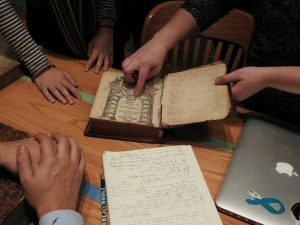 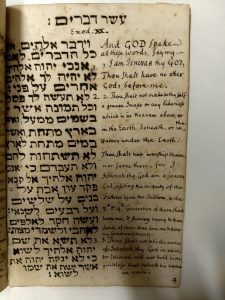 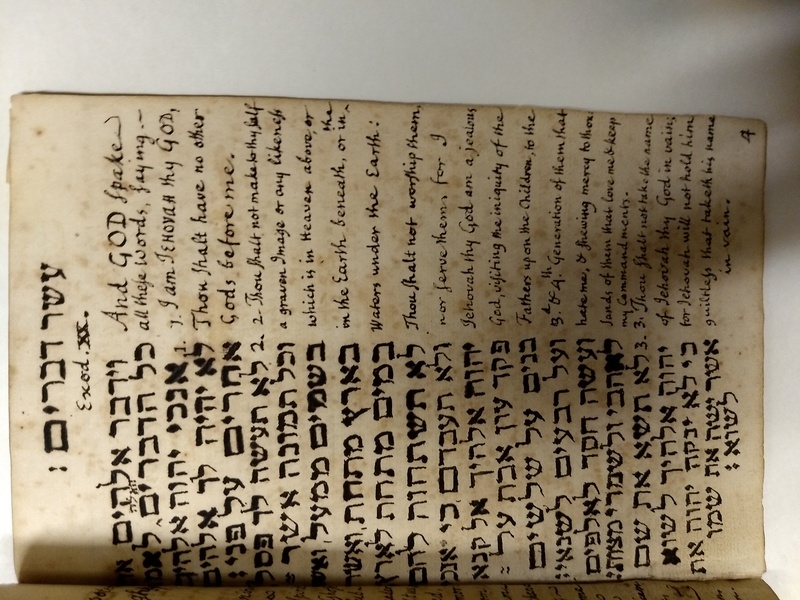 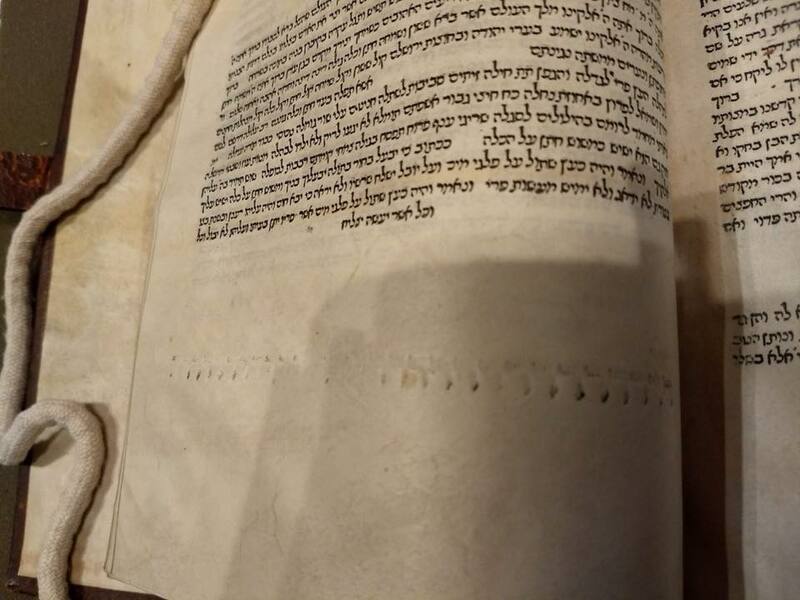 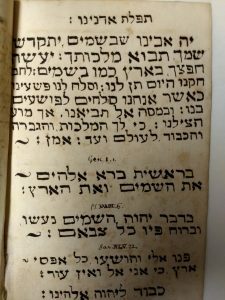 This semester, however, a wonderful partnership between a professor and a librarian gave graduate students a rare opportunity to study the history of the Jewish book in the place where the books are held: Columbia’s Rare Book and Manuscript library. 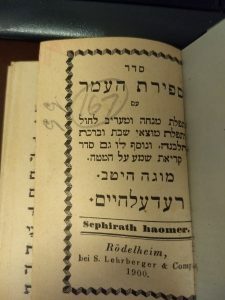 Professor Elisheva Carlebach, Salo Wittmayer Baron Professor of Jewish History, Culture, and Society and director of the Institute for Israel and Jewish Studies, taught a graduate seminar titled “Jewish Book Cultures in Early Modern Europe, and each week, Michelle Chesner, the Norman E. Alexander Librarian for Jewish Studies, brought a selection of materials relating to the readings and topic discussed at that class session. 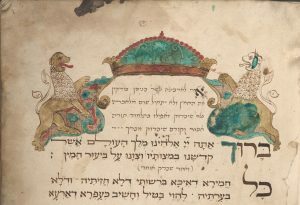 The class began with the earliest forms of writing, including, ostraca, papyri, scrolls, a cuneiform tablet and a marble Greek epigraph for a Jewish boy from the 3rd century. 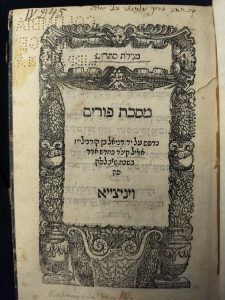 The class then moved on to incunabula, the first printed books. 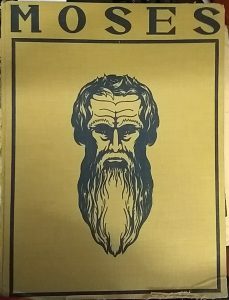 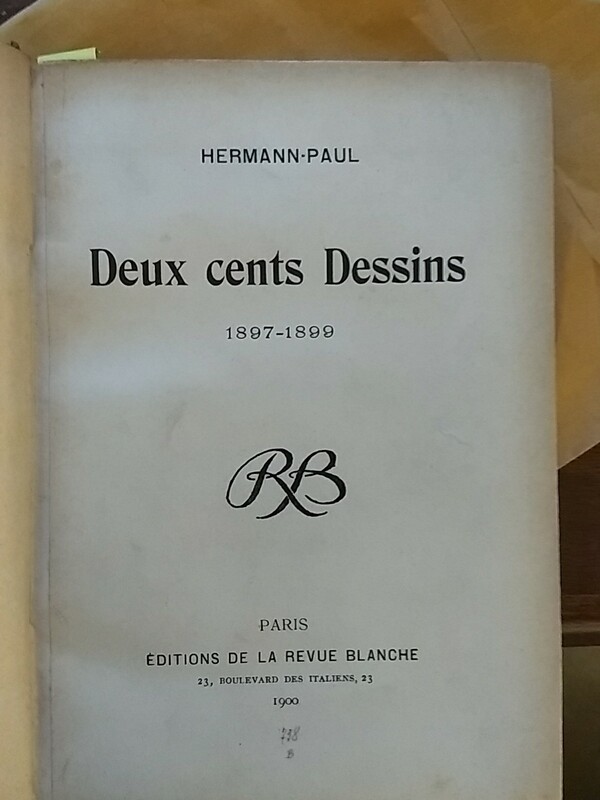 Thanks to Columbia’s extensive collection on printing history and book arts, the class was able to see first-hand the various techniques and tools for making type and illustrations for the books. 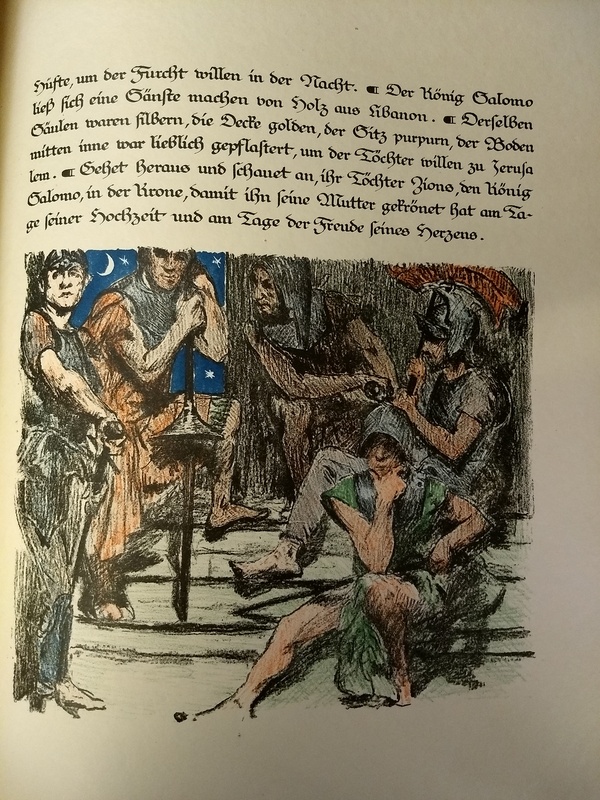 A copy of an early printing press housed in the University Archives Reading Room was perfect for explaining how books were made in the 15th century. 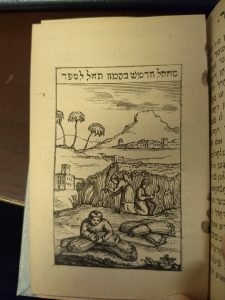 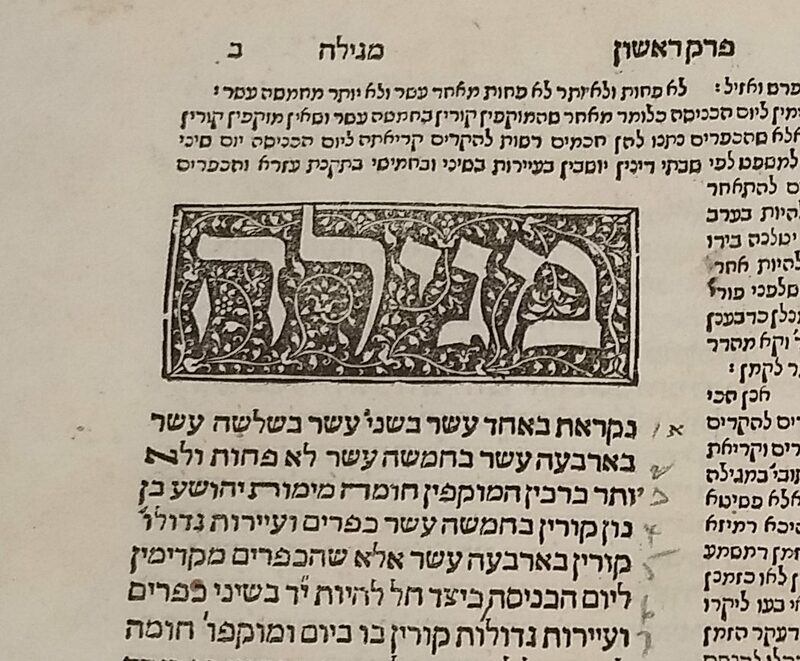 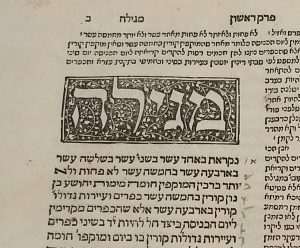 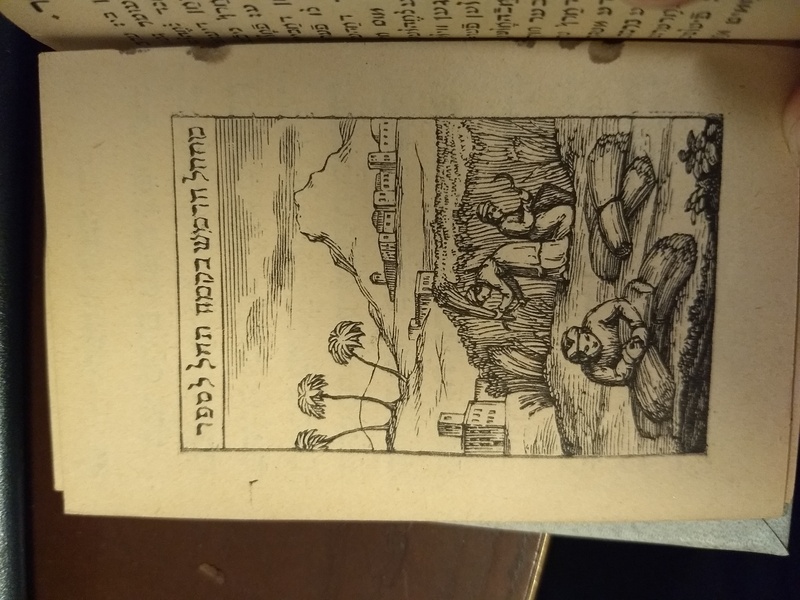 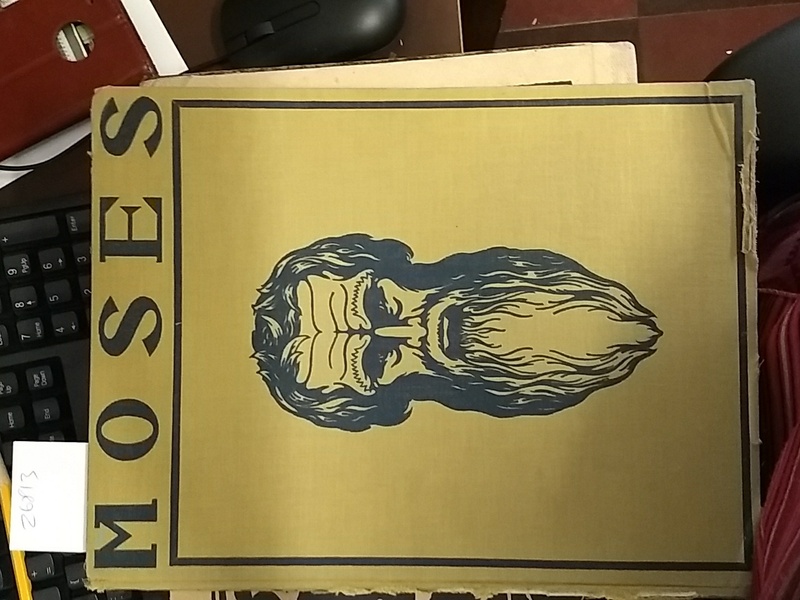 Students learned about the swift spread of the printing arts among Jews, and about how print impacted Jews and Judaism – both internally and externally. 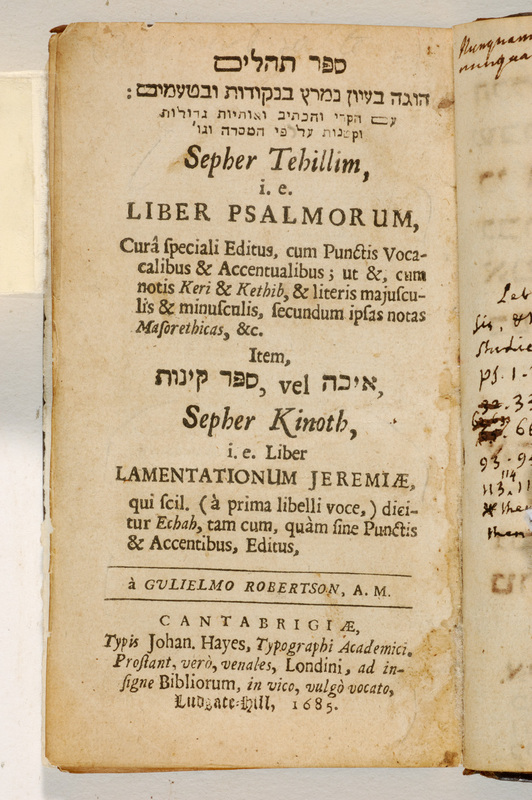 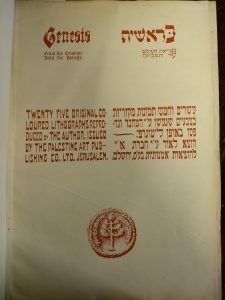 A session on censorship and Christian Hebraism illustrated the positive and negative impacts of renewed Christian interests in Jewish texts during the early years of print. 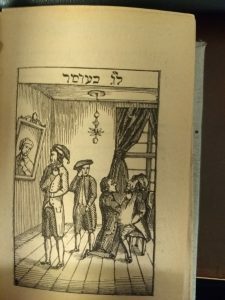 Visiting scholars included Dr. Isabelle Levy, an adjunct instructor at Columbia, Columbia alumnus Professor Joseph Skloot (Hebrew Union College), and Professor Joshua Teplitsky (Stony Brook University). 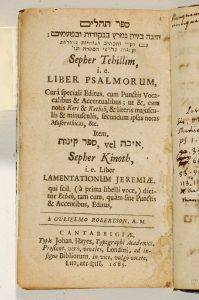 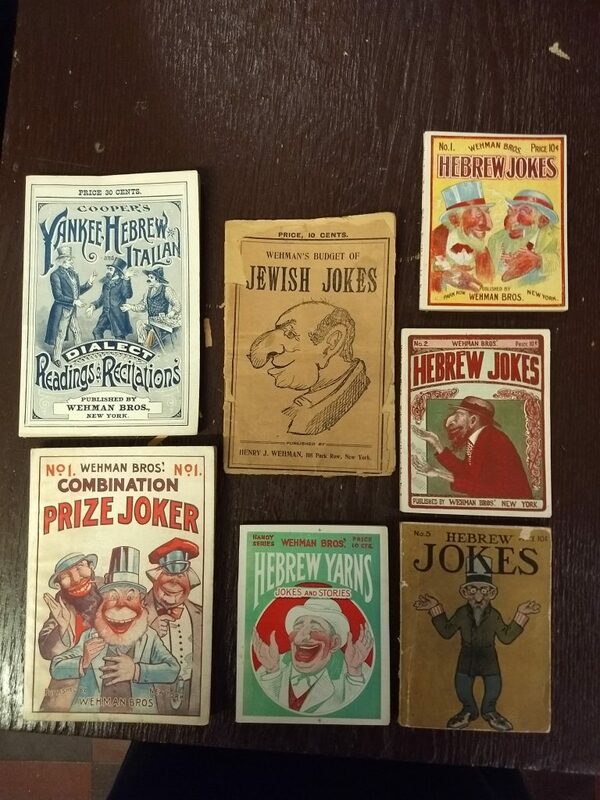 Additional sessions dealt with Jewish books in languages other than Hebrew (including Yiddish, Ladino, and Judeo-Arabic), illustrations in Jewish books, and paratexts. 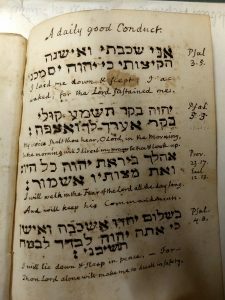 One particularly memorable session was dedicated to the Footprints project, which traces the movement of the Jewish book through time and place, often based on evidence found within the books themselves. 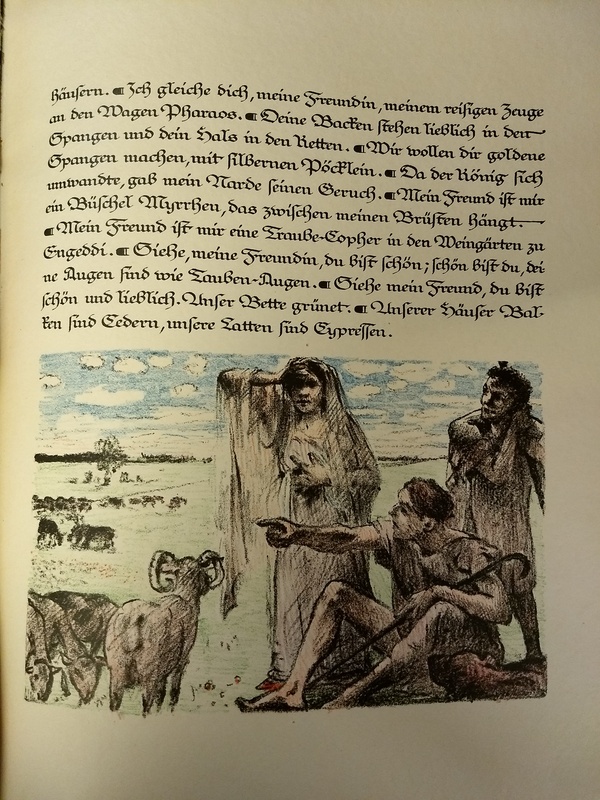 Students formed pairs and compared two copies of the same edition to see how clearly different routes through time and place can impact the book and its use. 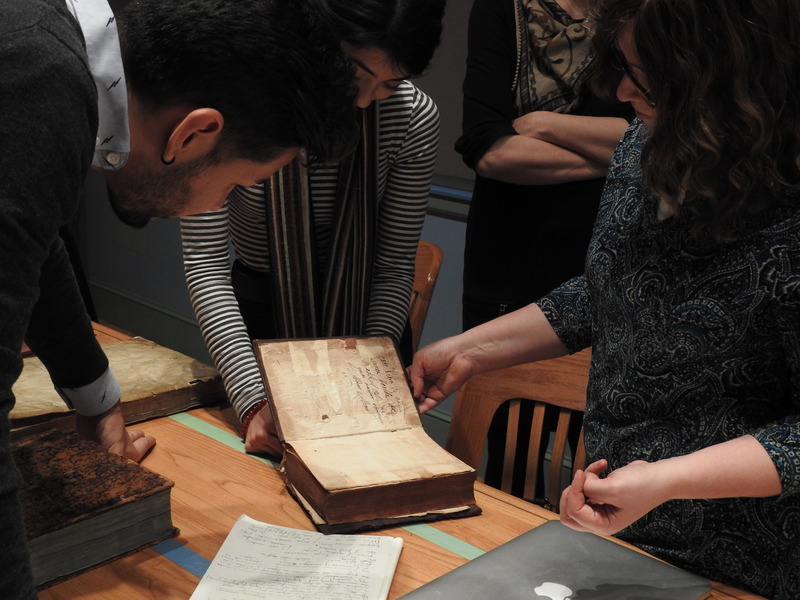 For their final paper, each student was required to choose a book and research it in depth – from cultural, material and textual perspectives. 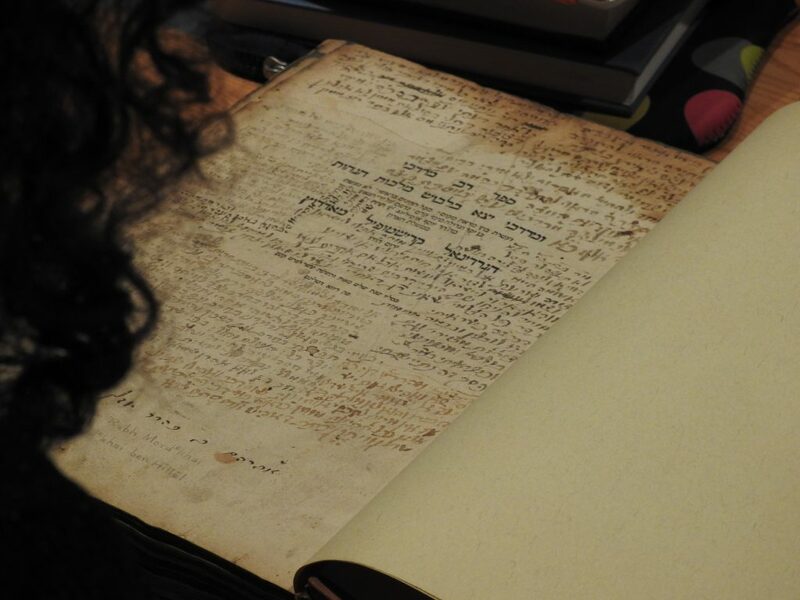 At the end of the semester, the students joined together with three other classes that had been working on various aspects of the book (Manuscripts in the Muslim World, Medieval Manuscripts as Material Texts, and Classics and Print) to present the results of their research. 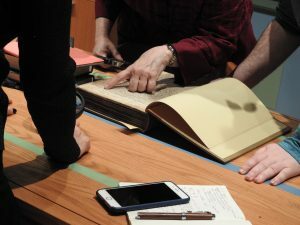 It is rare to have an opportunity to take a history class where all of the primary sources are laid out in front of the students for hands-on examination. 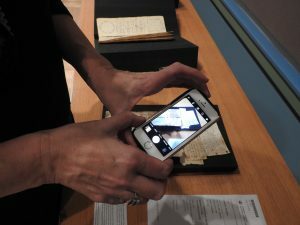 It was a truly wonderful experience, one which we hope we will be able to replicate in the future. 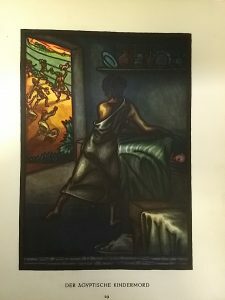 This entry was posted in Uncategorized on January 9, 2019 by Michelle. 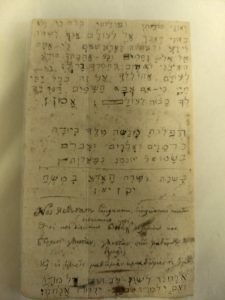 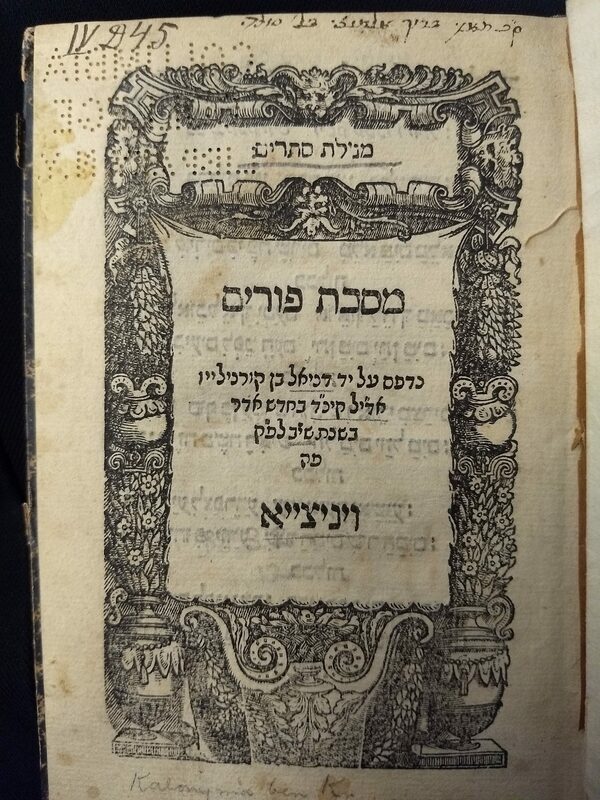 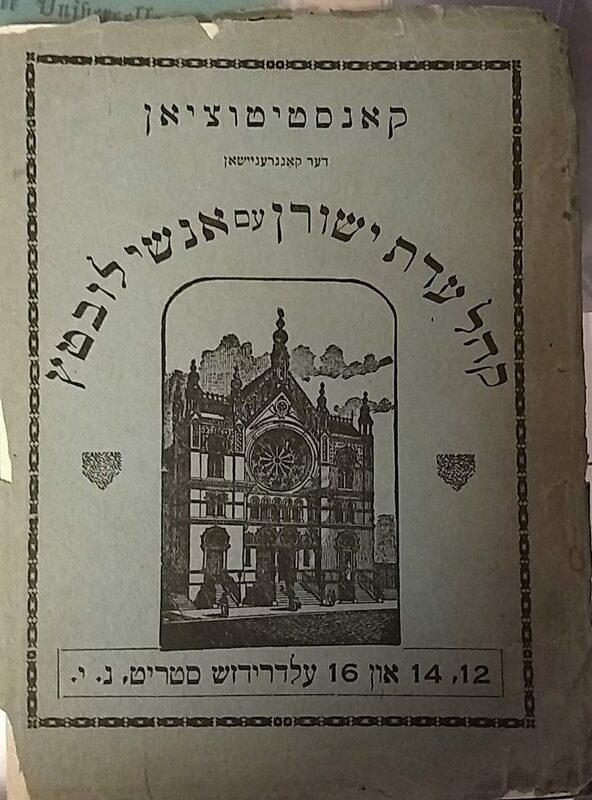 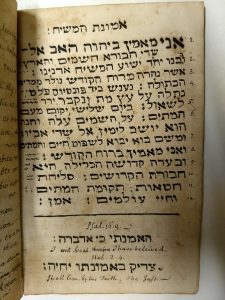 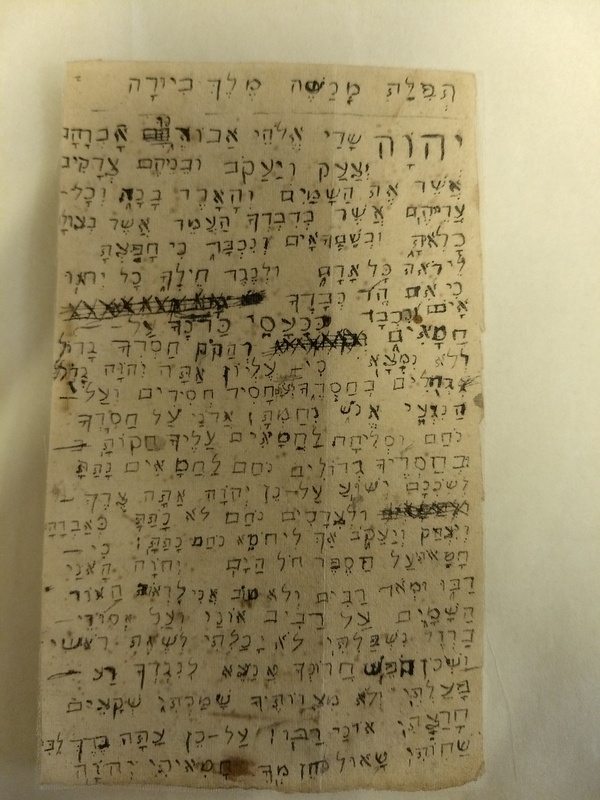 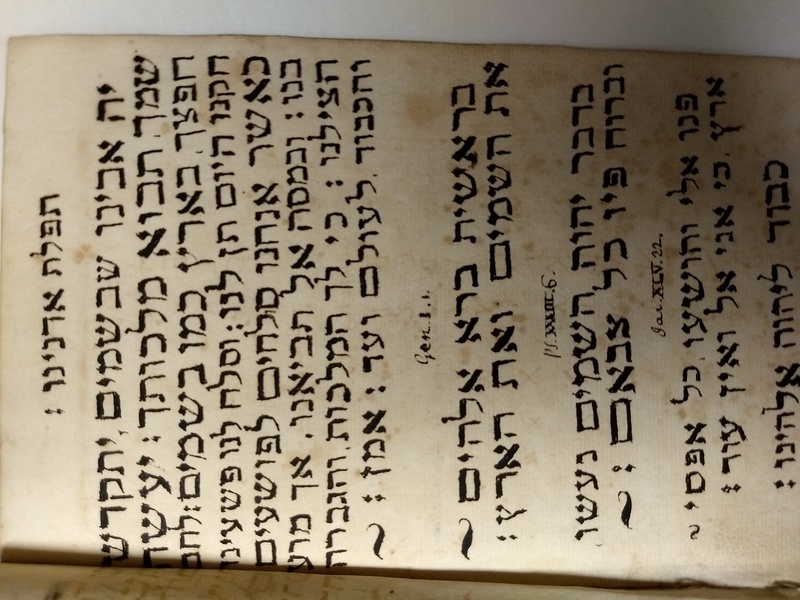 According to the YIVO Encyclopedia of Jews in Eastern Europe, Tkhines, or “supplications” were a “private devotions and paraliturgical prayers usually in Yiddish, primarily for women, published beginning in the early modern period.” While one of our recent acquisitions definitely falls under the category of Yiddish prayers for women, it was not published, but rather produced by hand, that is, in manuscript. 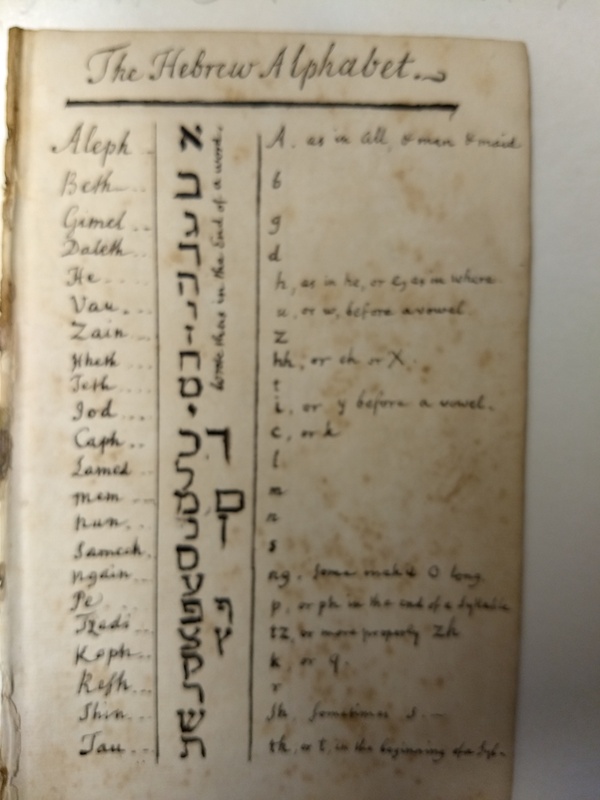 This small but lovely volume was created for a women called Pearl, the daughter of Phineas and the wife of Abraham Deutsch. 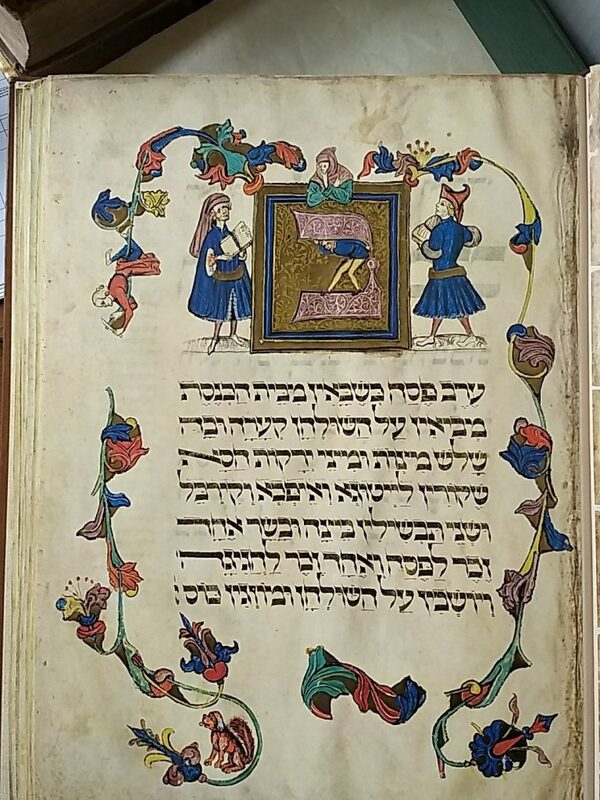 The scribe, Jacob Segal, was clearly a talented writer and decorator. 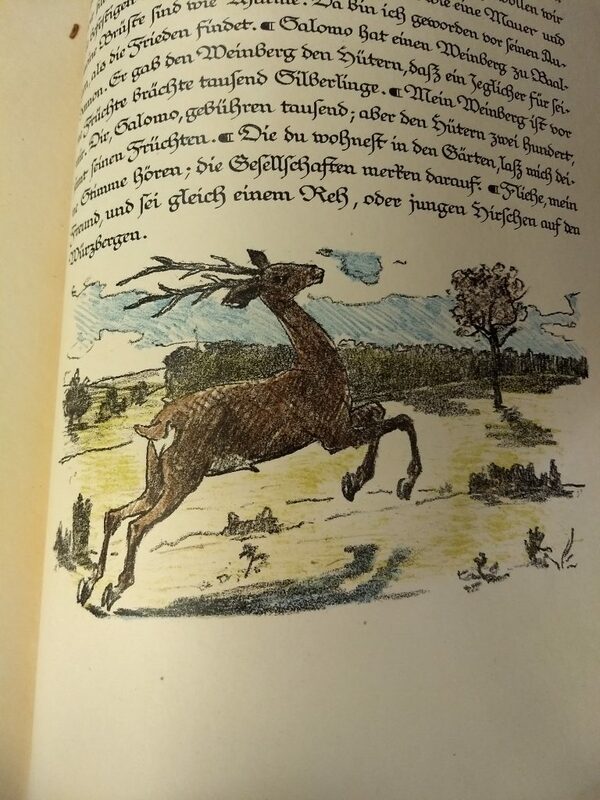 The text is clear and large, and the illustrations beautiful. 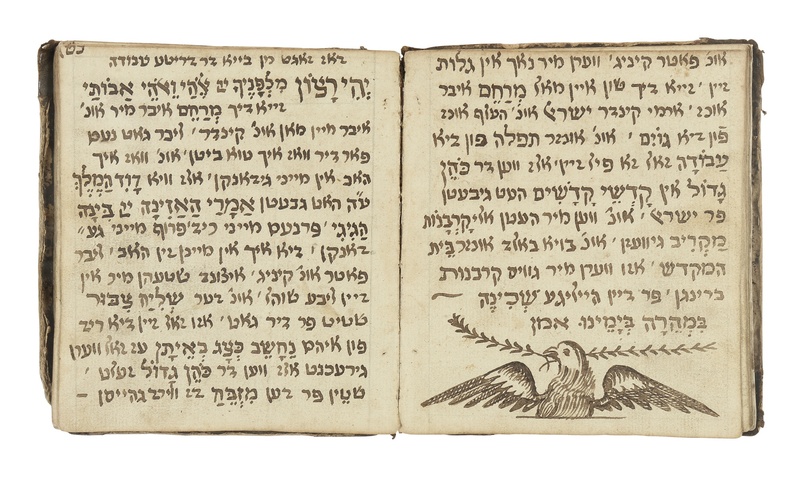 This was clearly a manuscript to be used in heartfelt prayer and devotion. 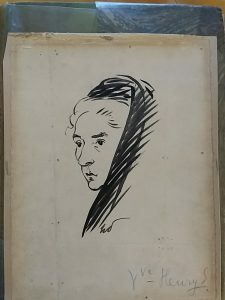 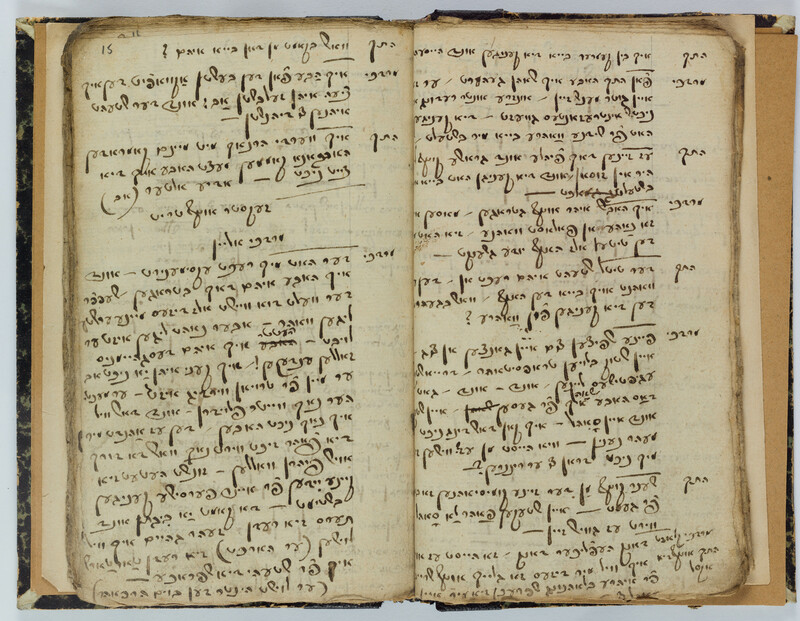 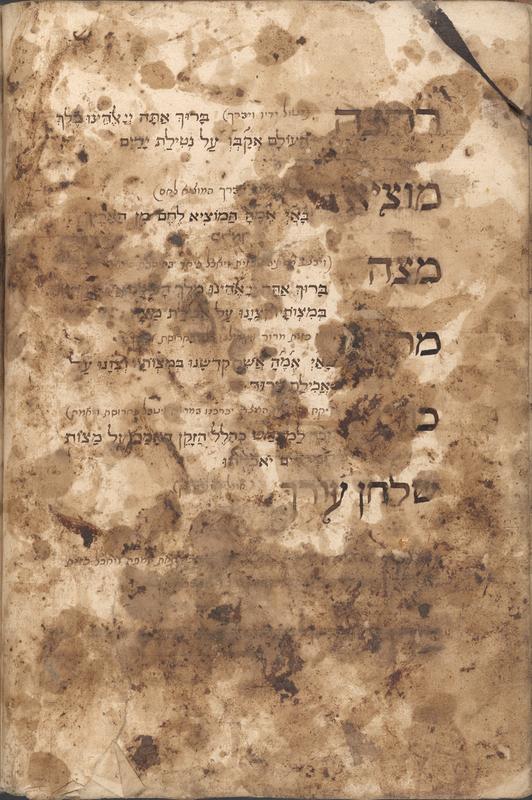 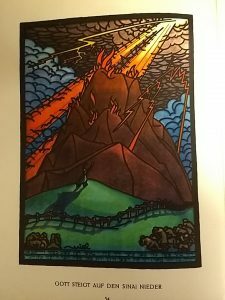 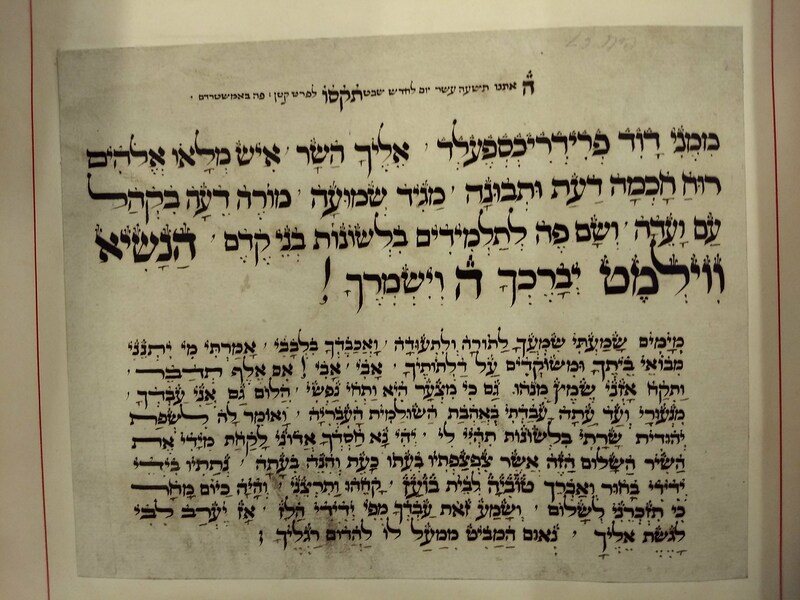 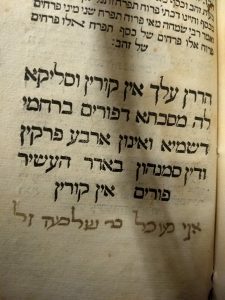 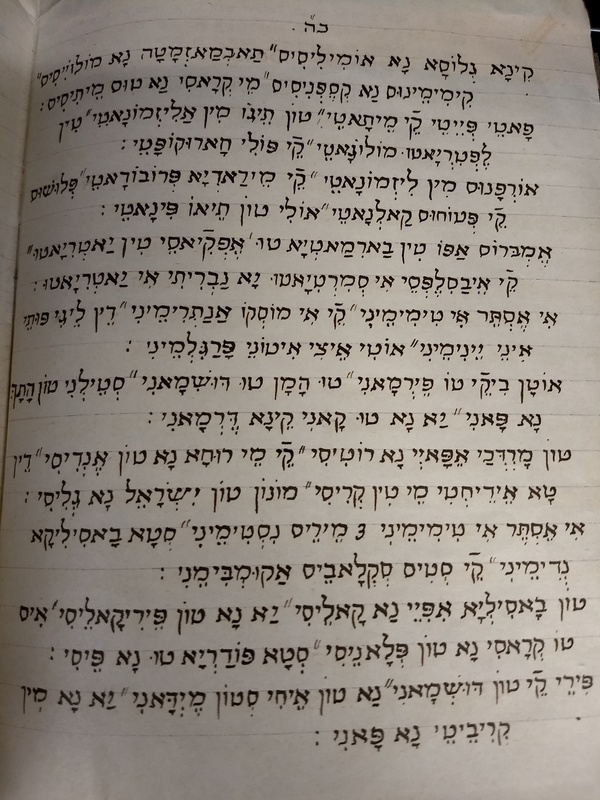 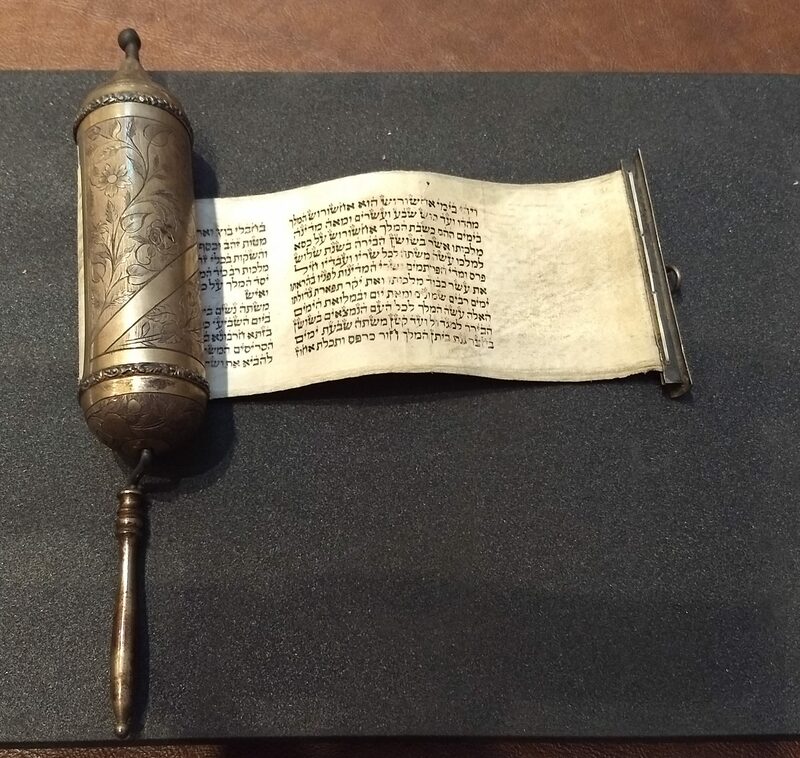 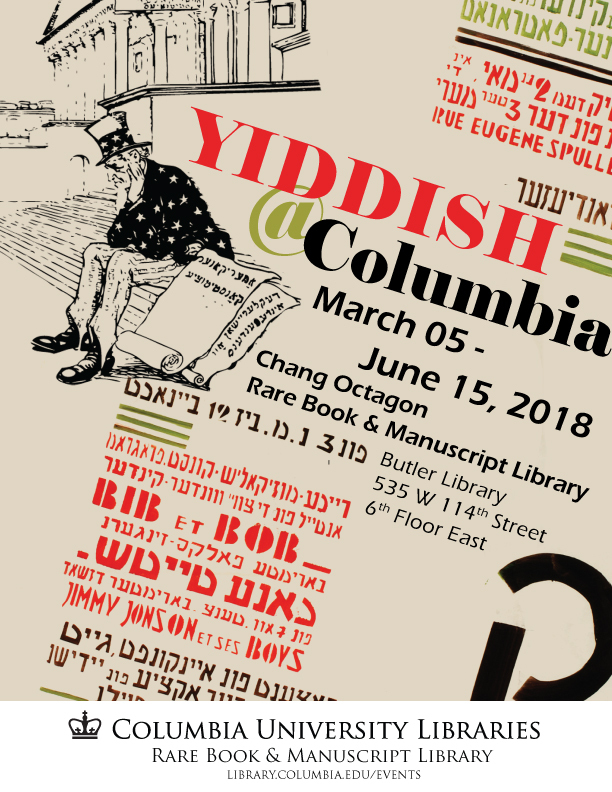 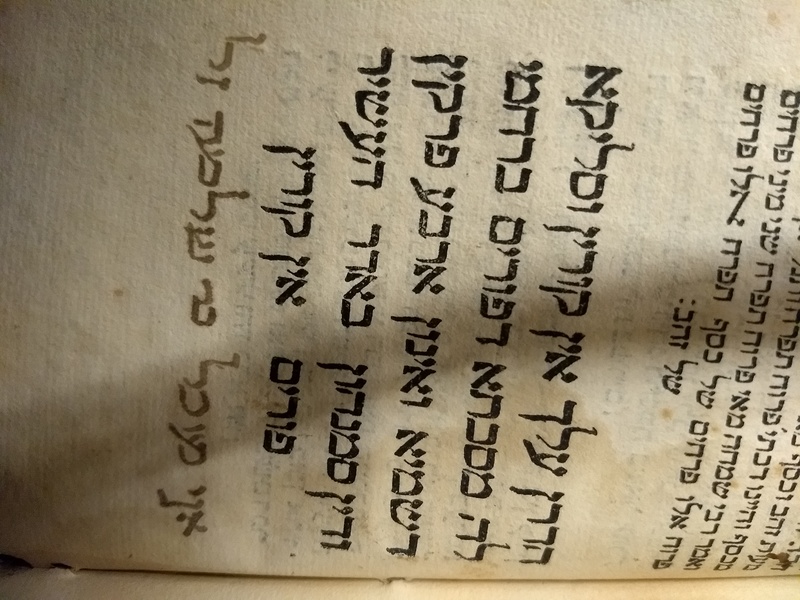 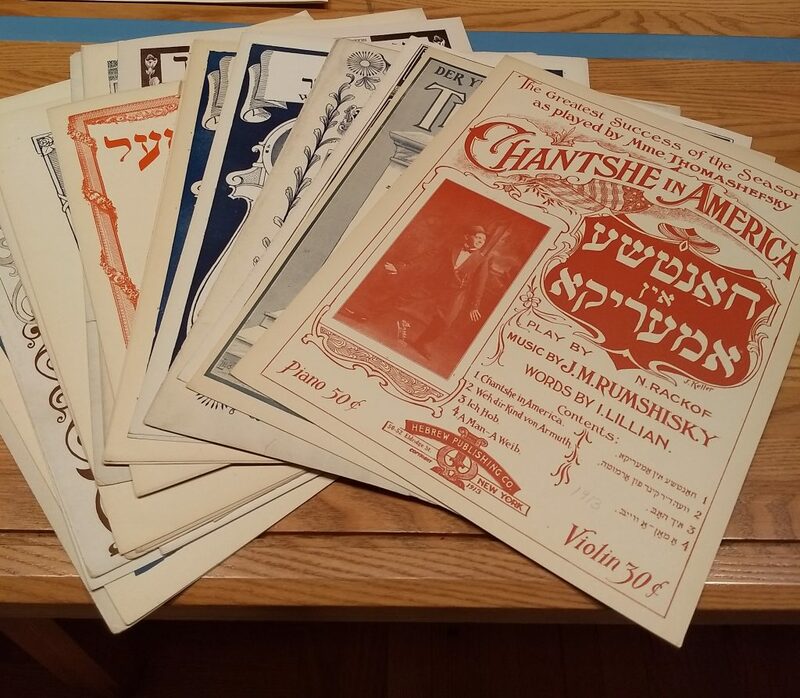 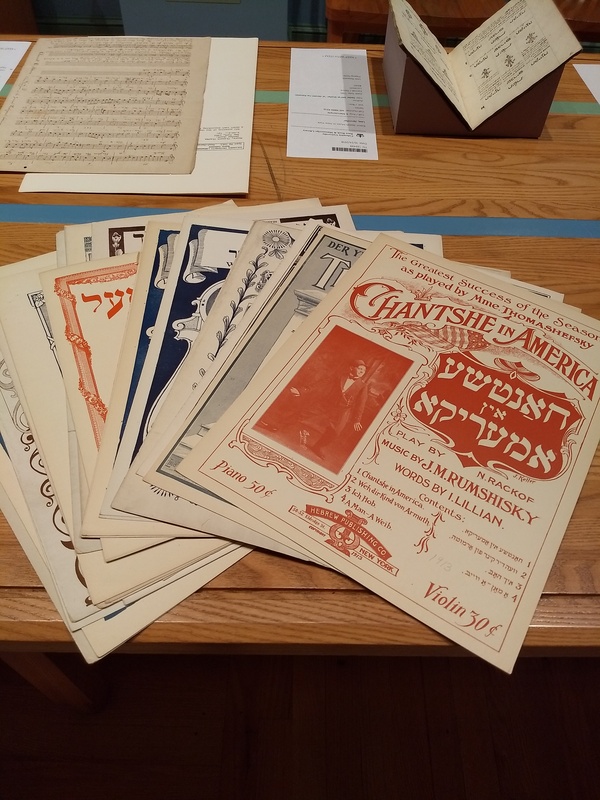 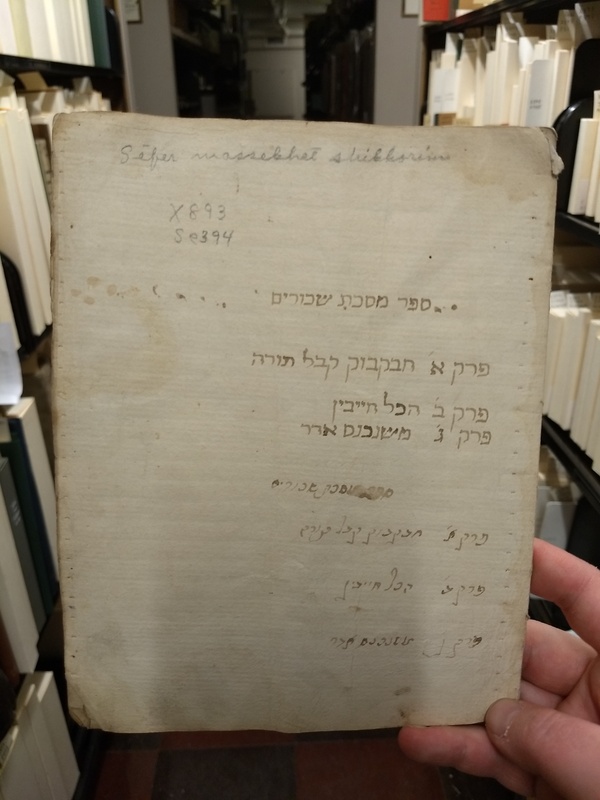 The manuscript is currently on exhibit as part of “Yiddish at Columbia” in the Chang Octagon Gallery in the Rare Book and Manuscript Library until June 15, and can be found under call number MS General 286. 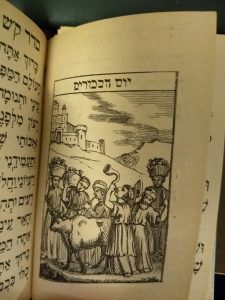 A second new acquisition is a colorful collection of illustrated laws on ritual slaughter, or shehita. 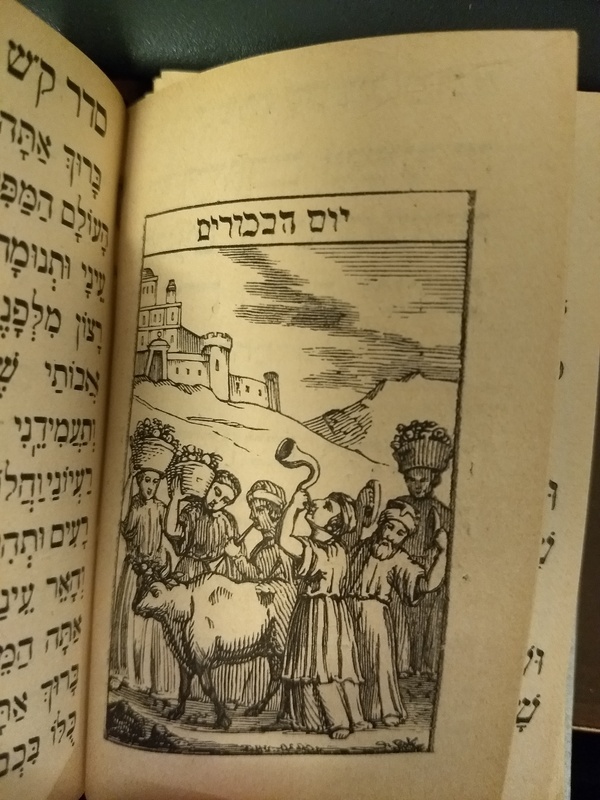 This volume deals specifically with “bedikot,” the laws of checking the animal after slaughter to ensure it is kosher. 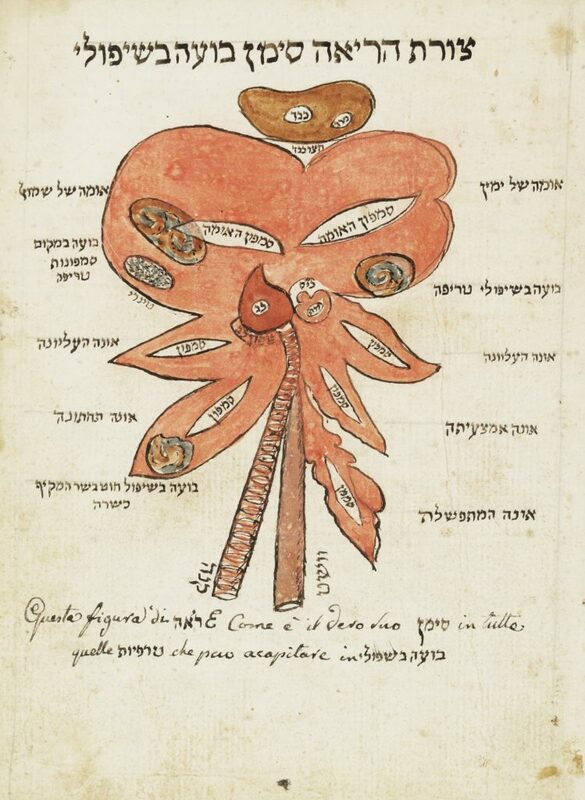 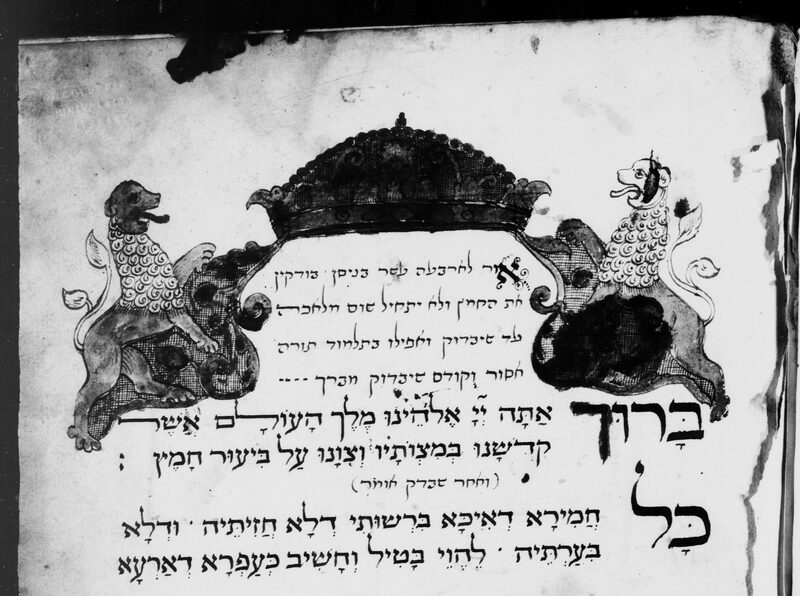 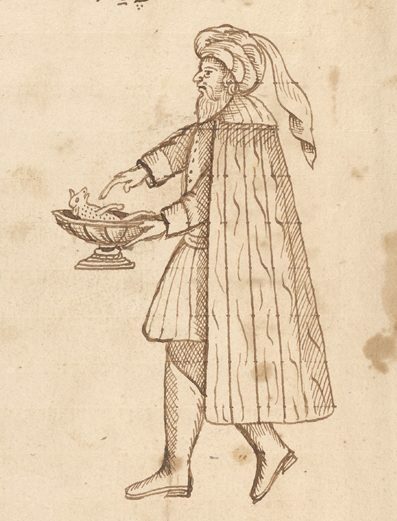 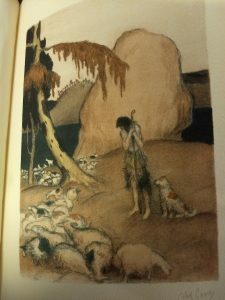 The manuscript thus includes a detailed illustration of the animal’s innards, so the shohet (ritual slaughterer) would be able to identify various flaws or defects that would render it treif, or unkosher. The volume was written in Italian (with some technical Hebrew terms) and illustrated by Israel David Luzzatto in Mantua around 1804. 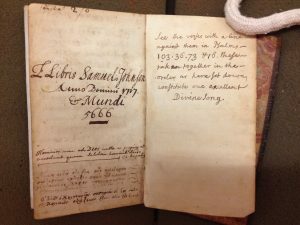 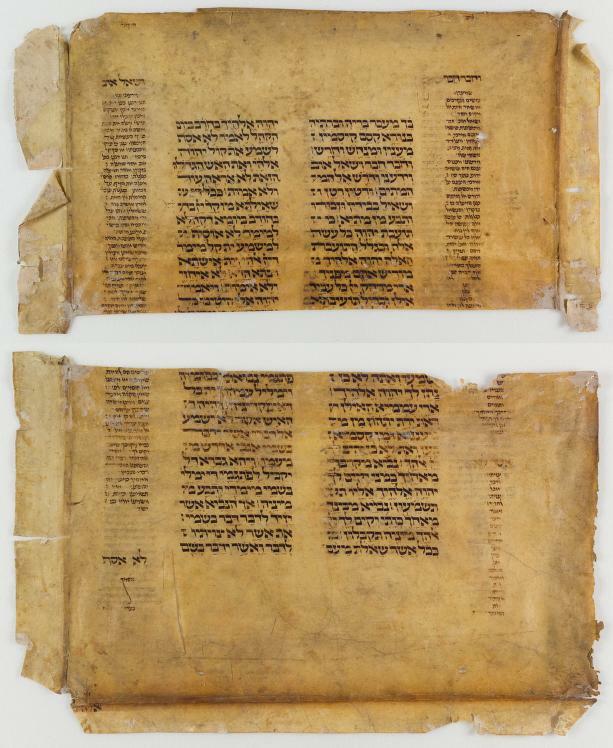 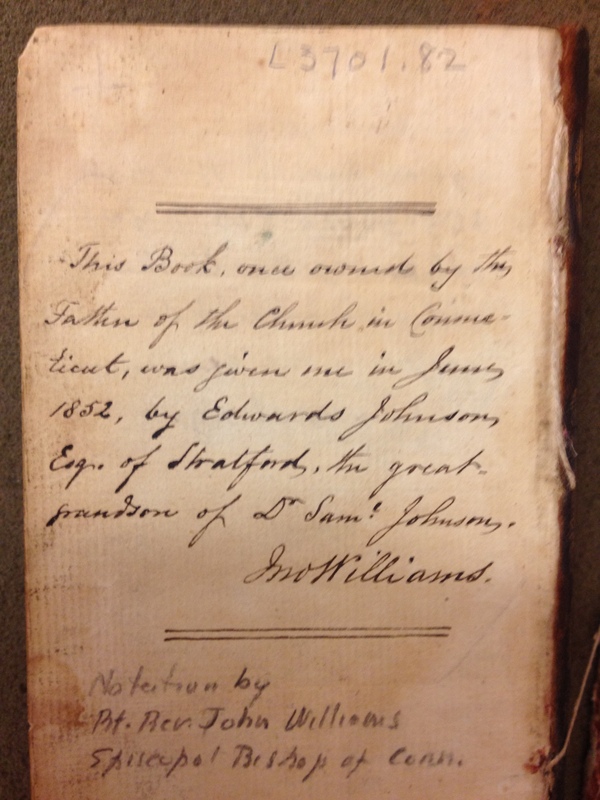 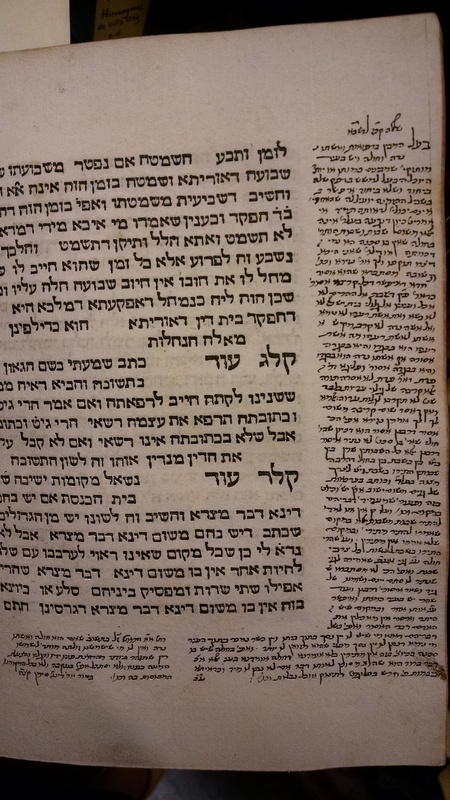 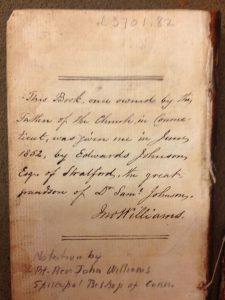 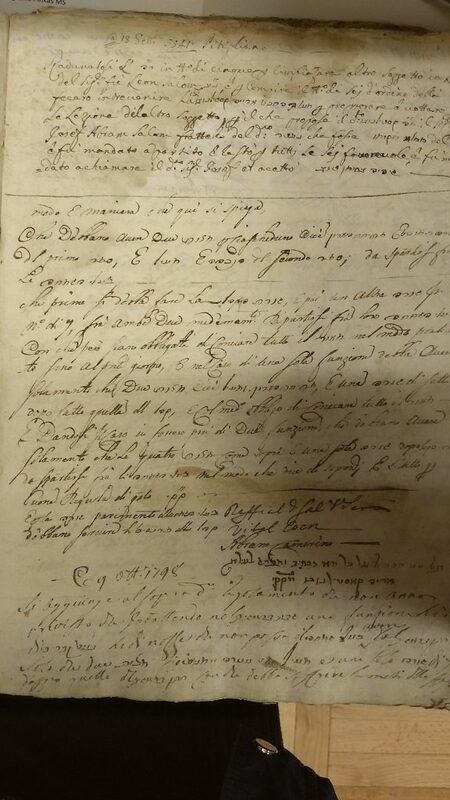 Israel David was the uncle of Samuel David Luzzatto, who is well represented within our manuscript collection. 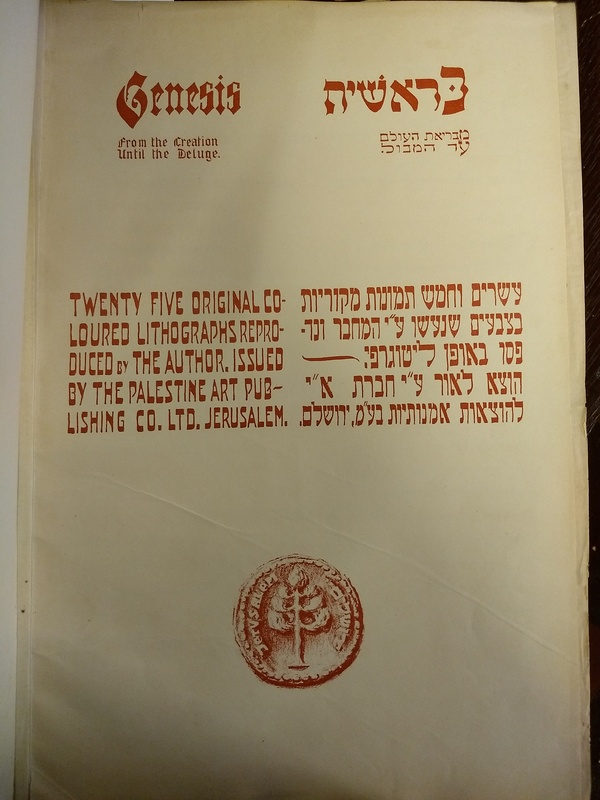 (Many thanks to Shimon Steinmetz, who identified the connection between the two Luzzattos!) 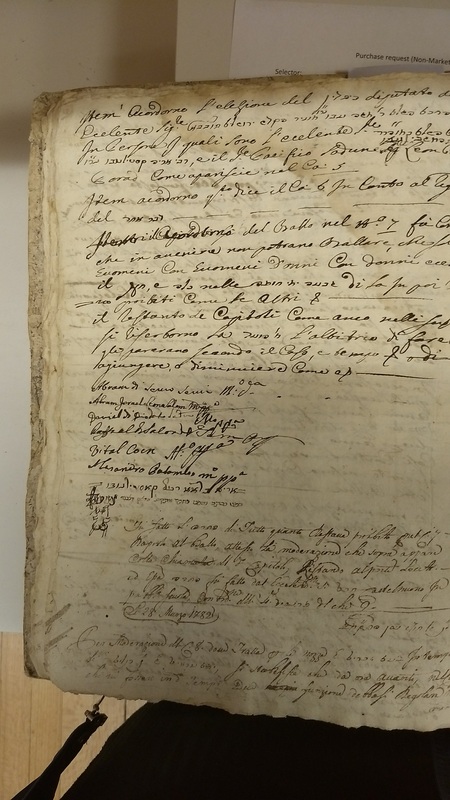 The manuscript also includes a certificate affirming Luzzatto’s knowledge of the laws he describes. 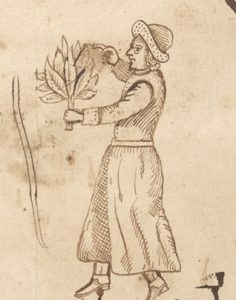 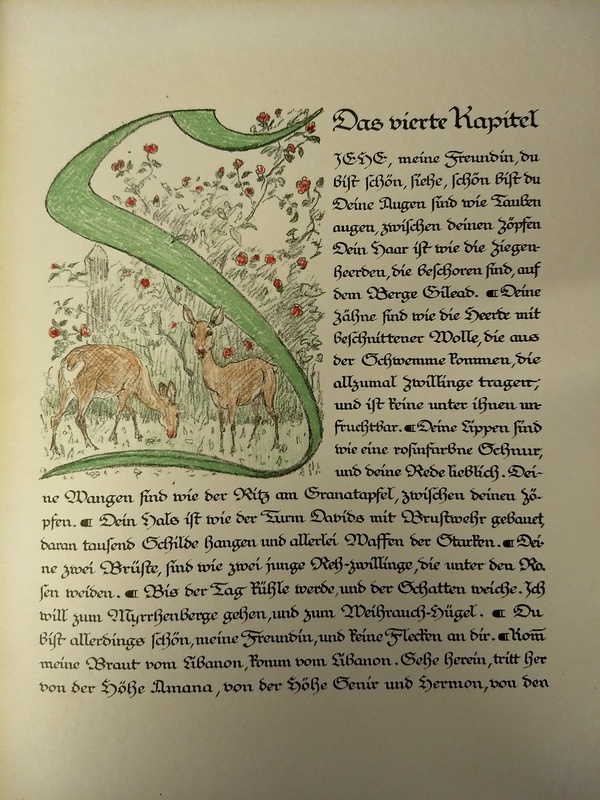 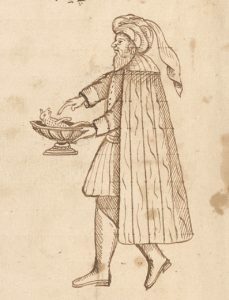 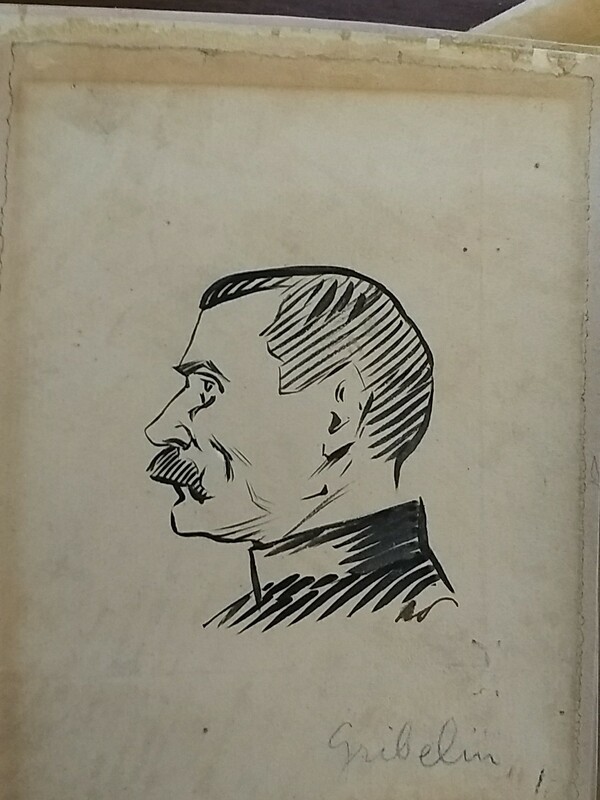 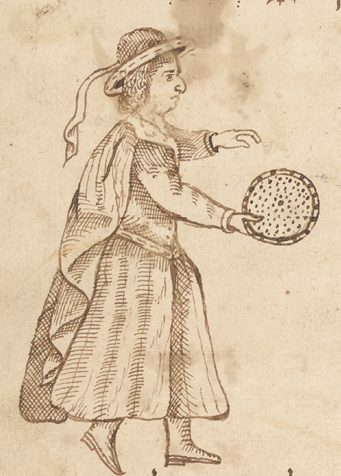 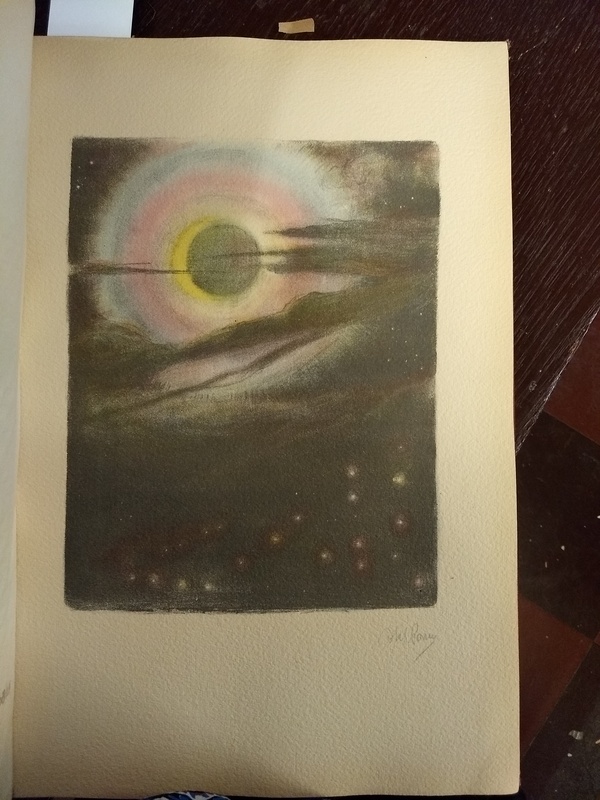 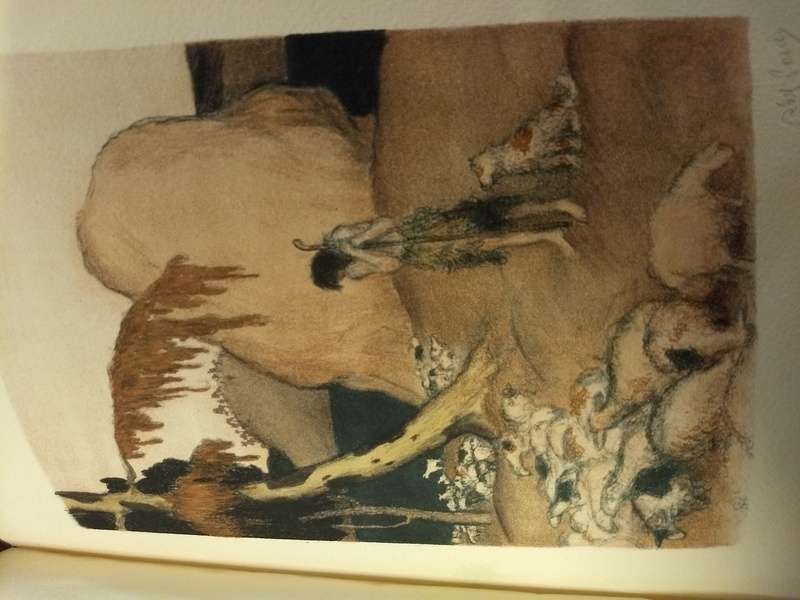 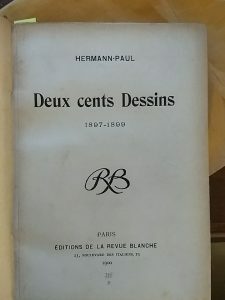 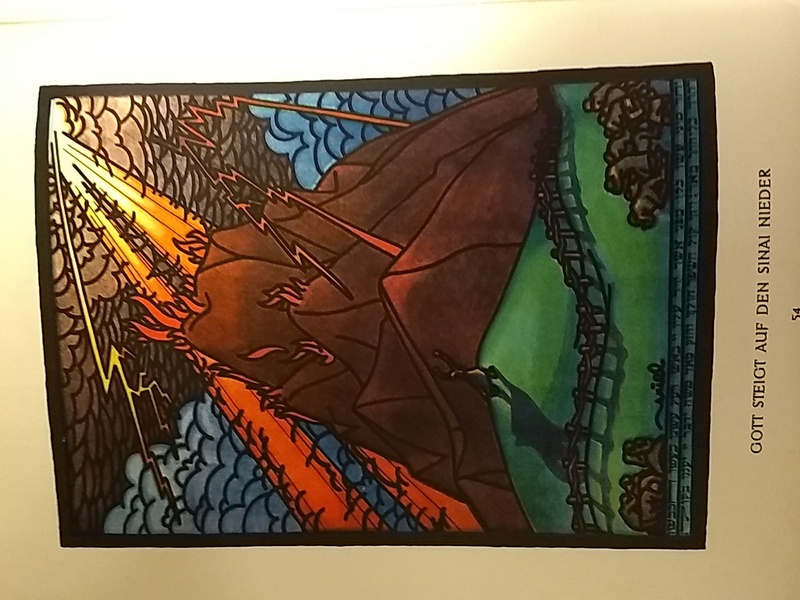 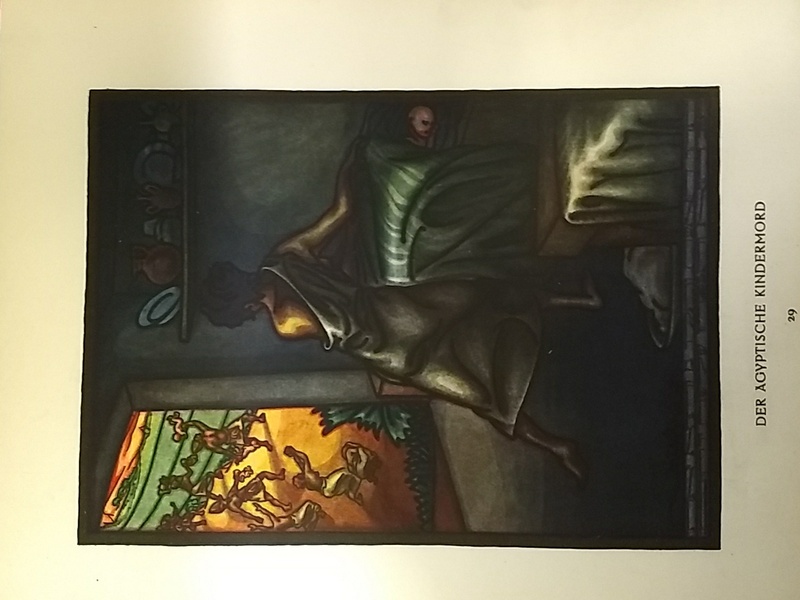 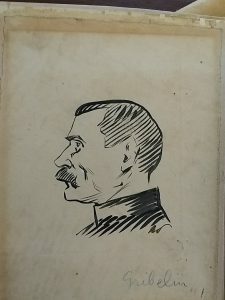 There are many illustrations throughout the manuscript. 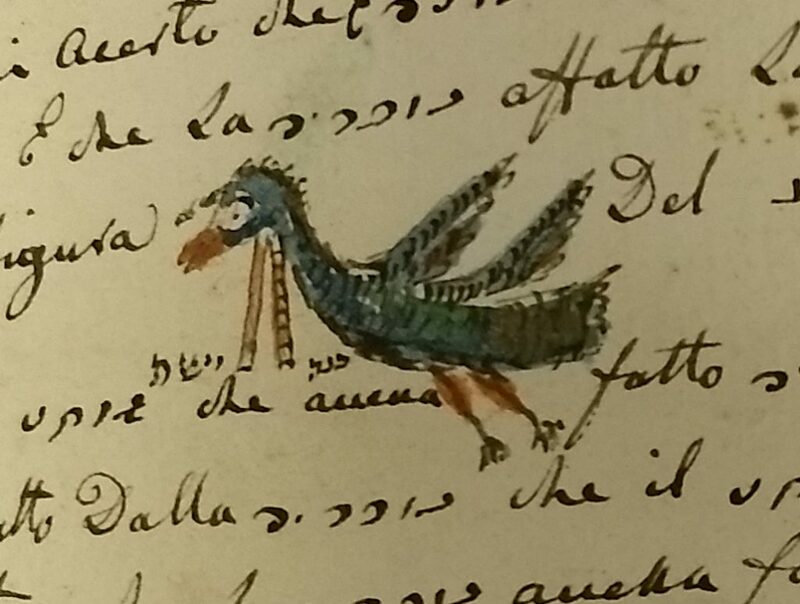 Some are whimsical, like the bird on the right. 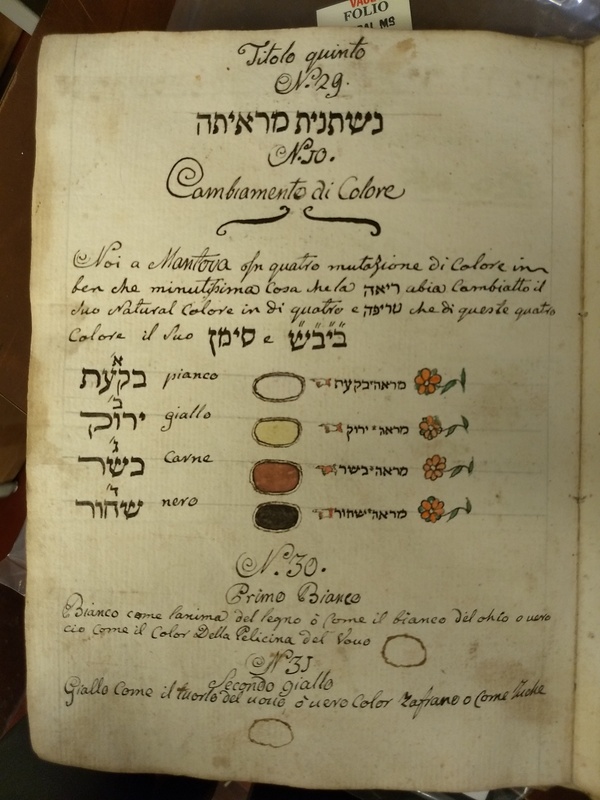 Others are more practical, like a table of col ors that identify the kashrut status of the animal based on examination of its internal organs (certain shades of black would render the animal treif, while another color, like red, would indicate that the meat was kosher and could be eaten. 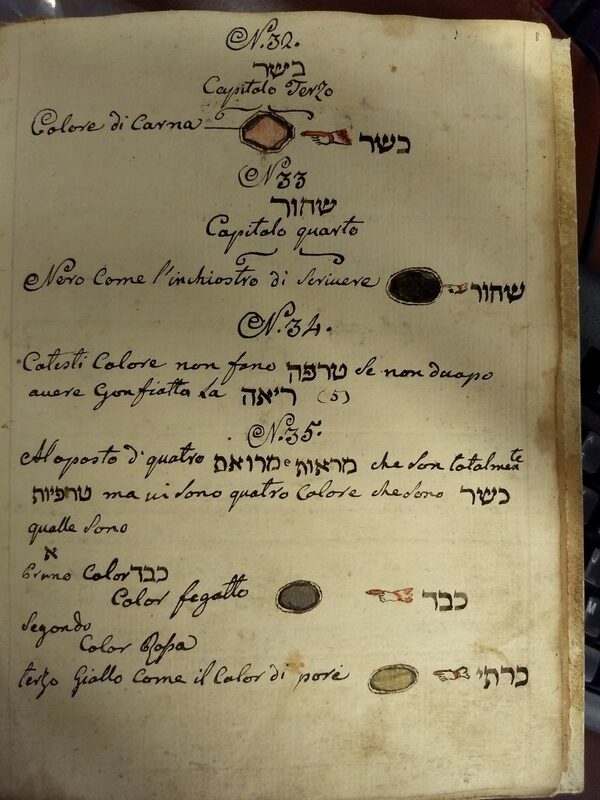 Paint would have been carefully mixed to produce the correct color for the samples, as this would have been used as the exemplar for legal decisions, and so the color needed to be unfading and clear. 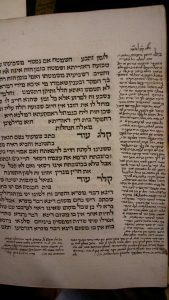 (The color labeled “green” in Hebrew is correctly yellow here, as that is the color meant by the word “yarok” in the shehita literature.) 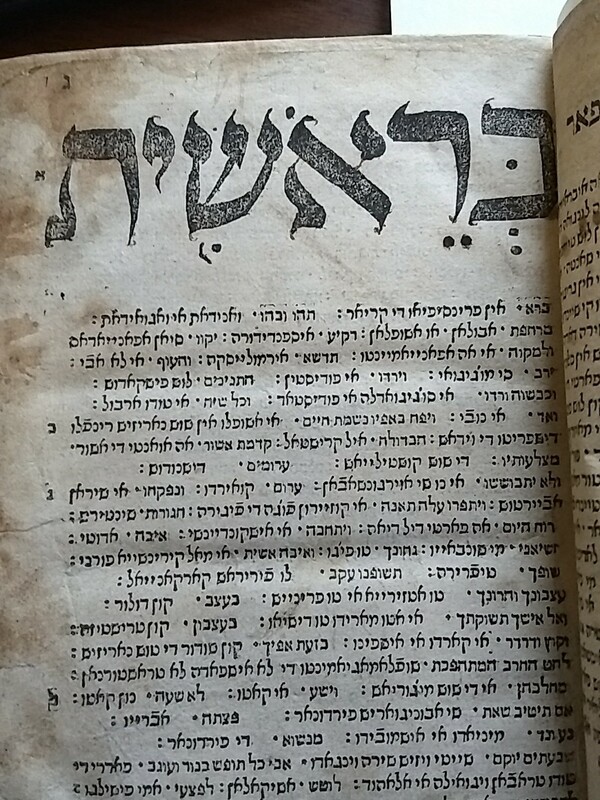 This manuscript is available for use as MS General 285. 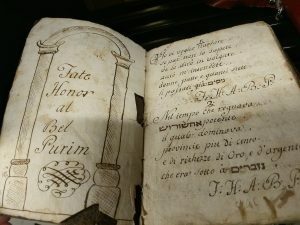 The city of Pitigliano, in Tuscany, has a long history of Jewish inhabitants. 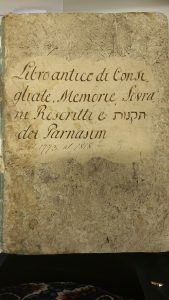 There was a continuous Jewish community in Pitigliano until World War II, and the Jewish population there was so well-known that the town was known as “little Jerusalem.” Its synagogue, still intact, was built in 1598. 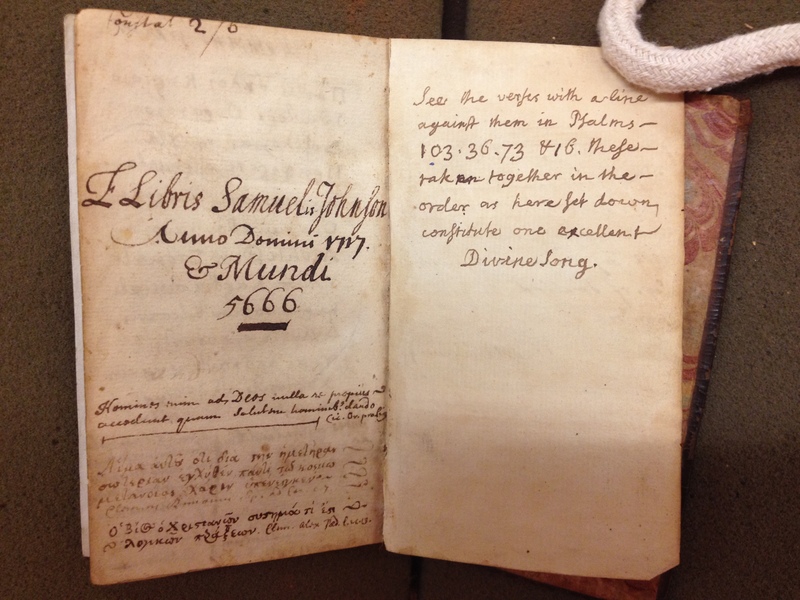 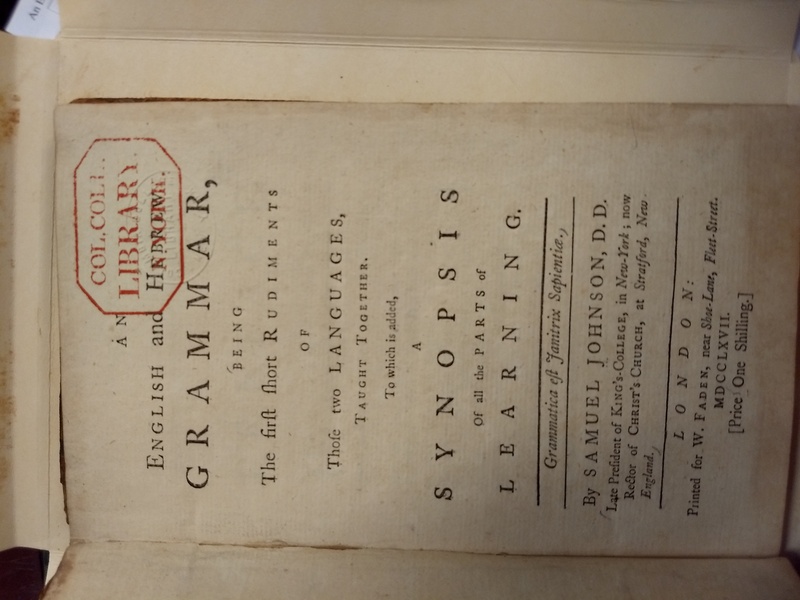 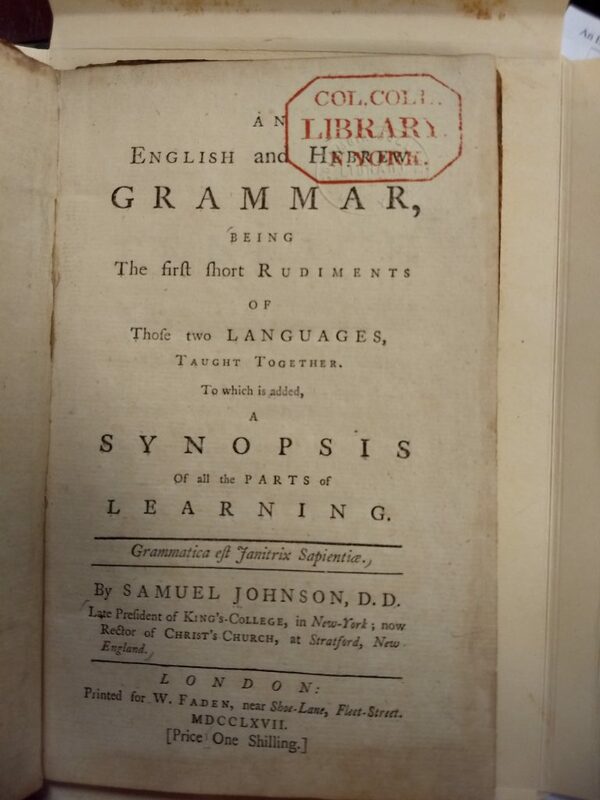 Our newest acquisition is a Pinkas book for that community from the years 1772 to 1818, which includes takanot for the specific community, as well as information about visitors to the community. 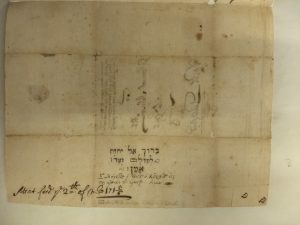 One of the better known visitors to Pitigliano was Hayim Yosef David Azulai (HIDA), noted rabbi and bibliographer, who traveled the length of Europe and North Africa collecting funds on behalf of the Jewish community of Hebron. 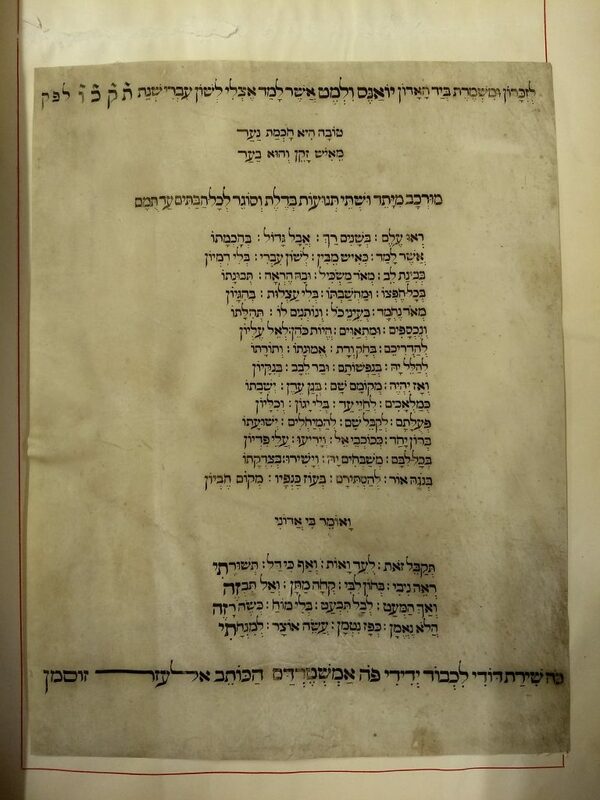 The HIDA’s inscription can be found in this pinkas, as he clearly stopped in the city over the course of his travels. 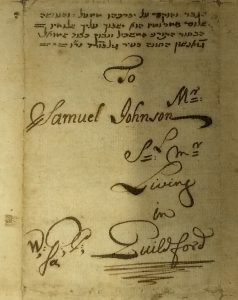 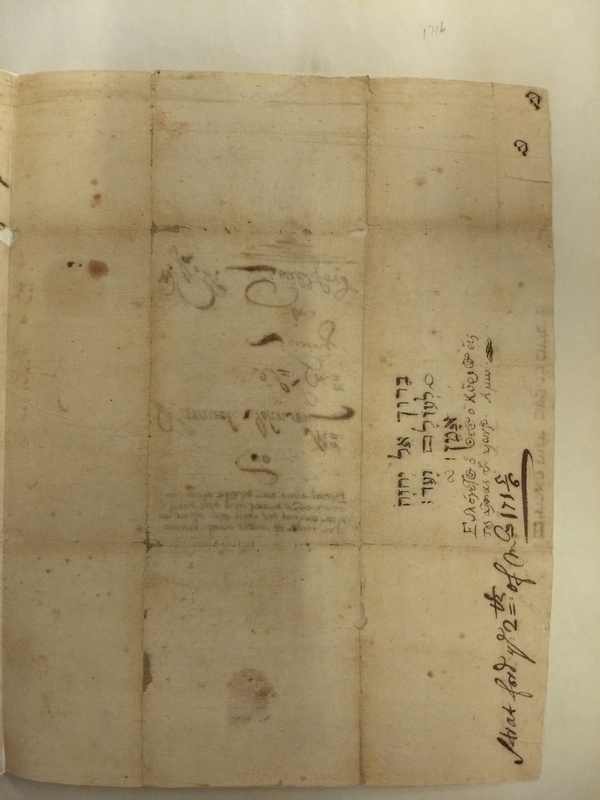 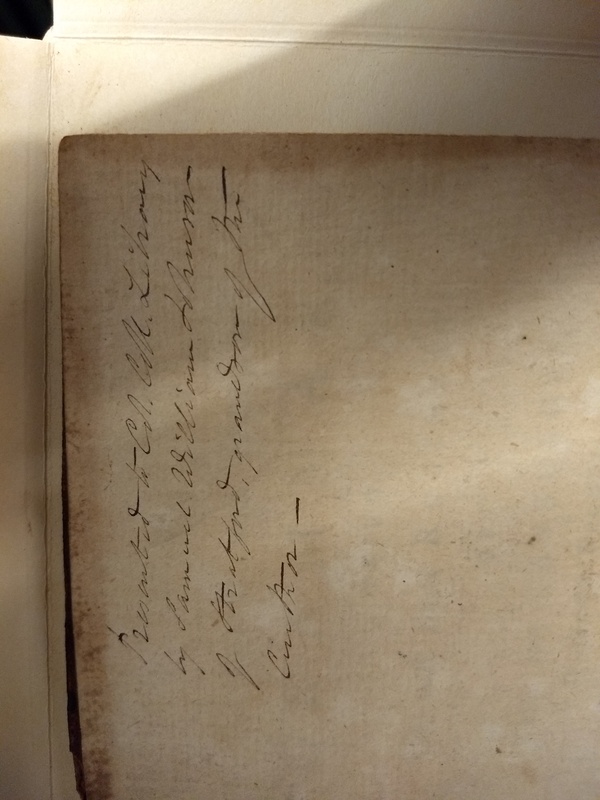 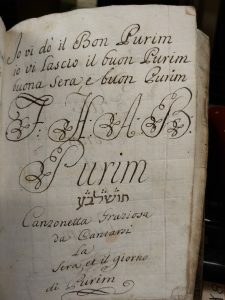 Another note on the same page indicates the year, 1774 (which was the year his bibliographical magnum opus, Shem Ha-gedolim, was published in Livorno). 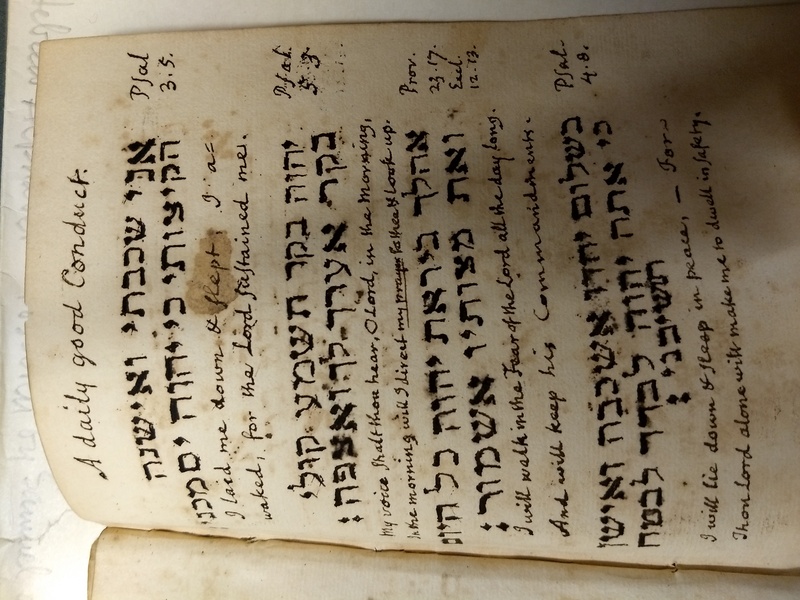 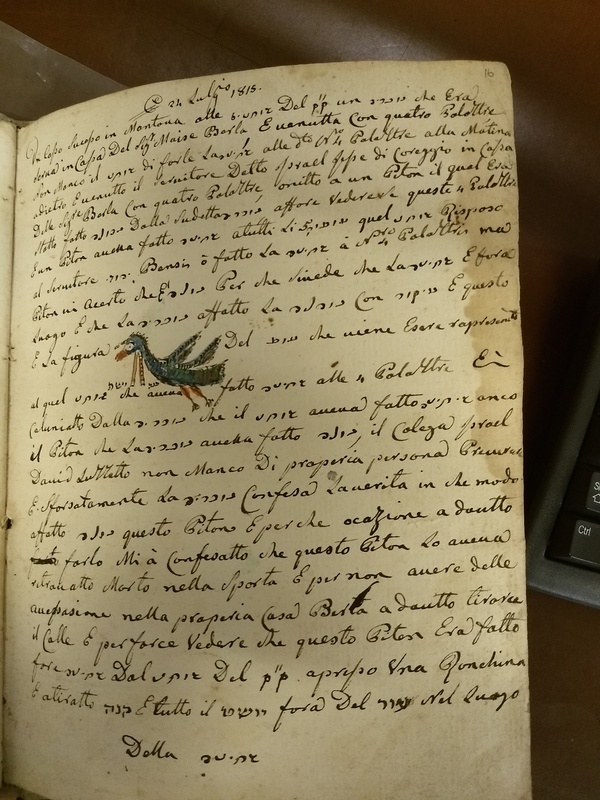 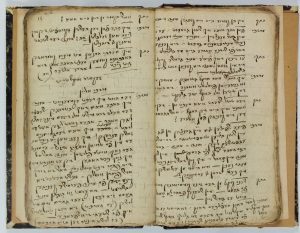 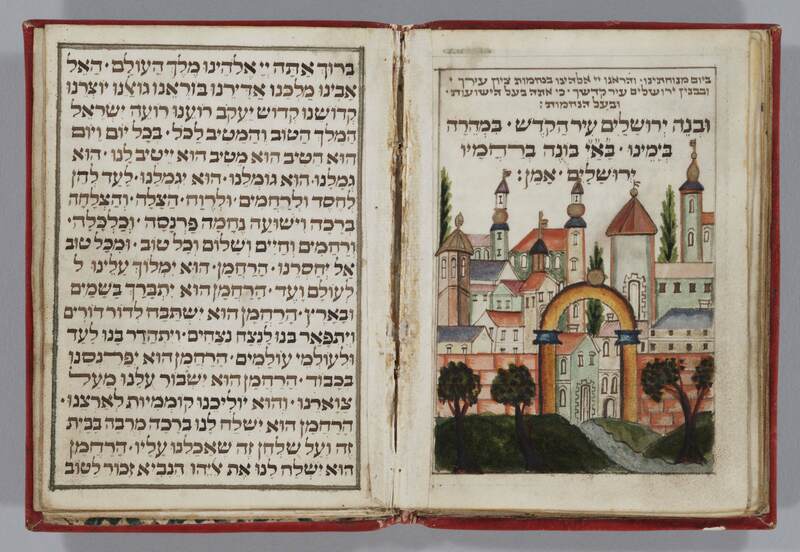 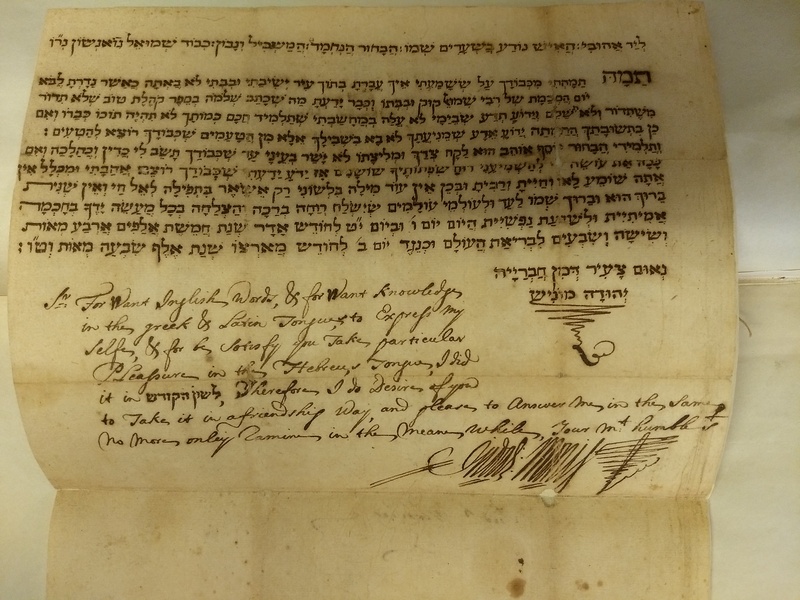 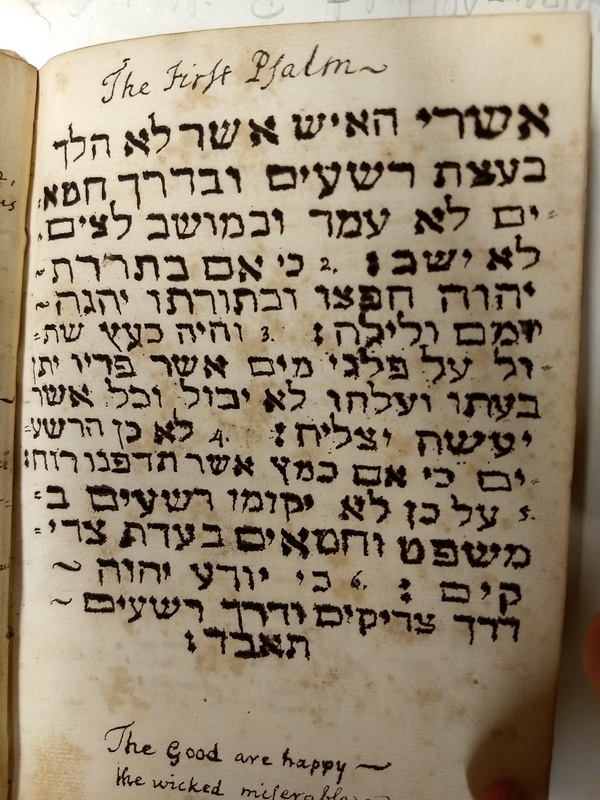 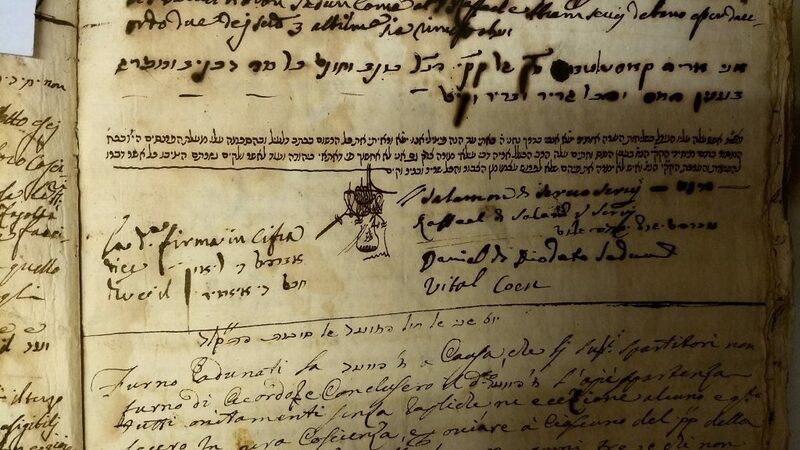 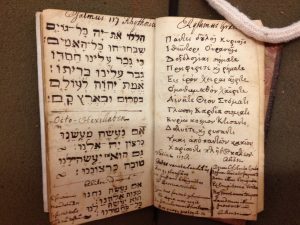 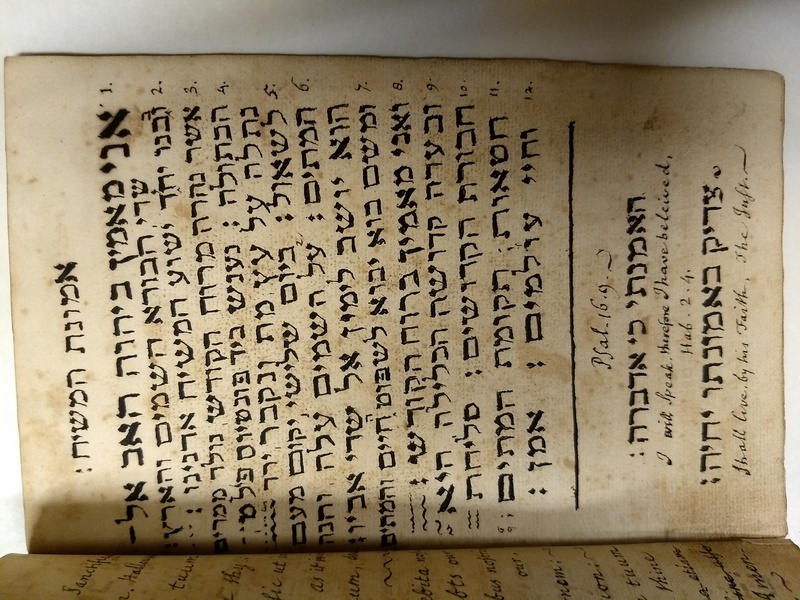 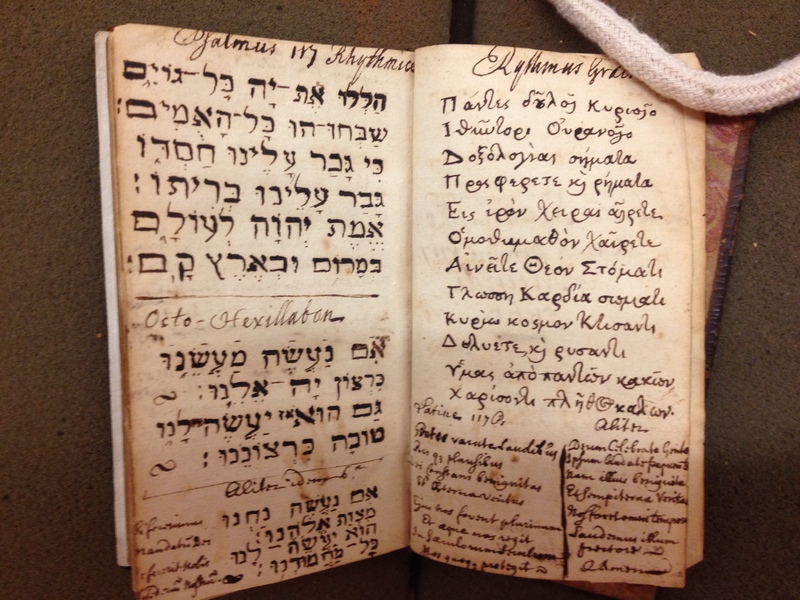 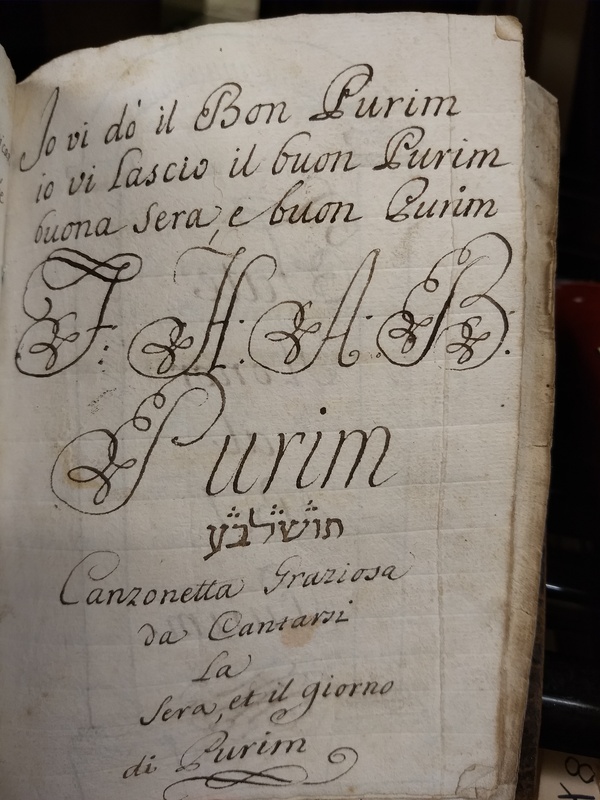 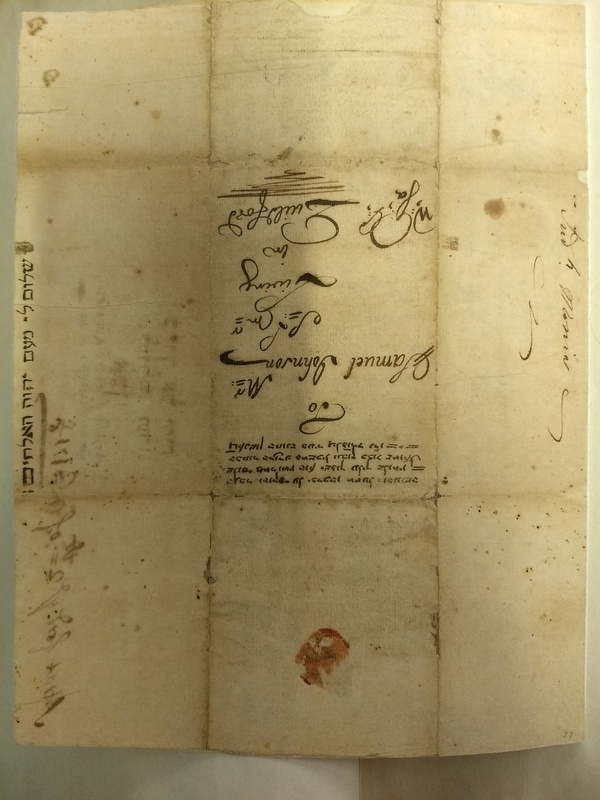 This book holds many inscriptions and signatures in both Hebrew and Italian, and is an important new resource for the history of the Jews of Tuscany in the late 18th and early 19th centuries. 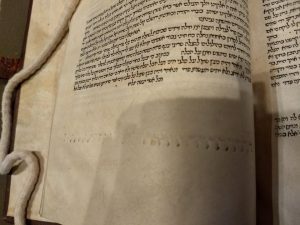 This entry was posted in Uncategorized on October 16, 2017 by Michelle.